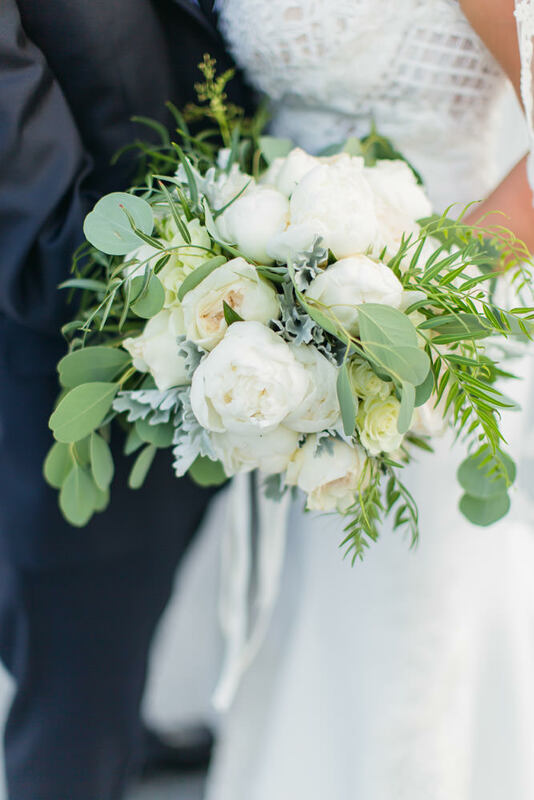 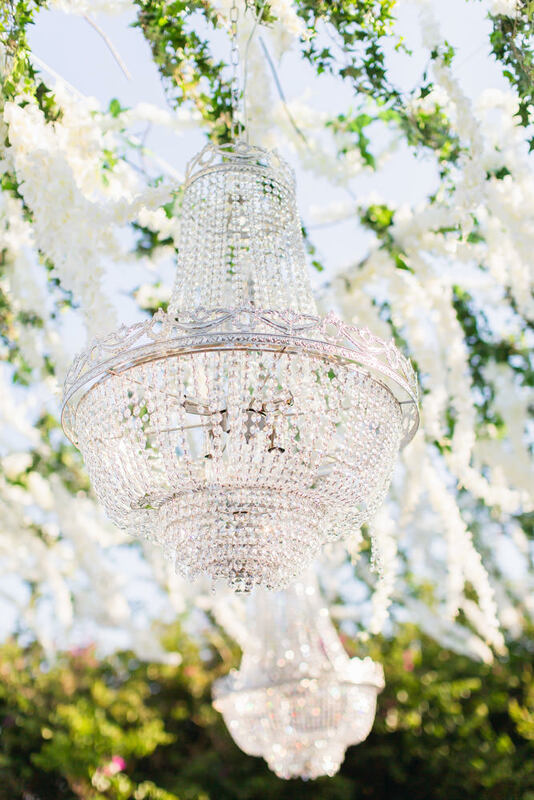 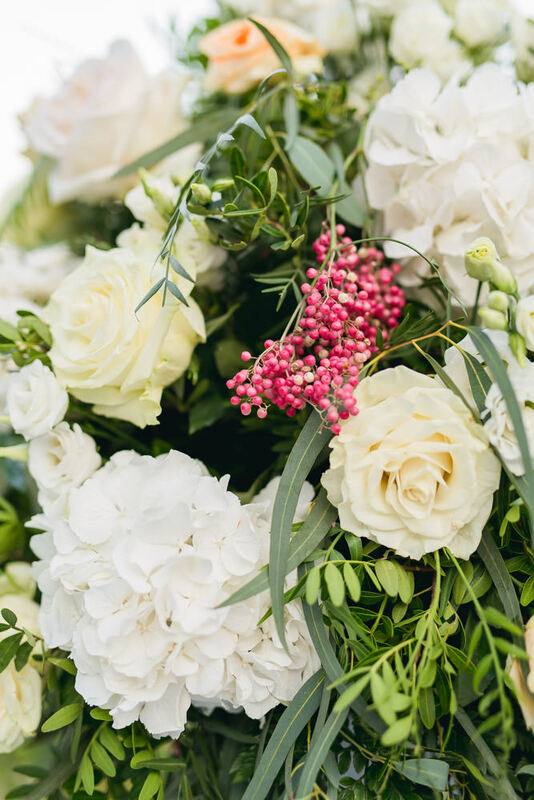 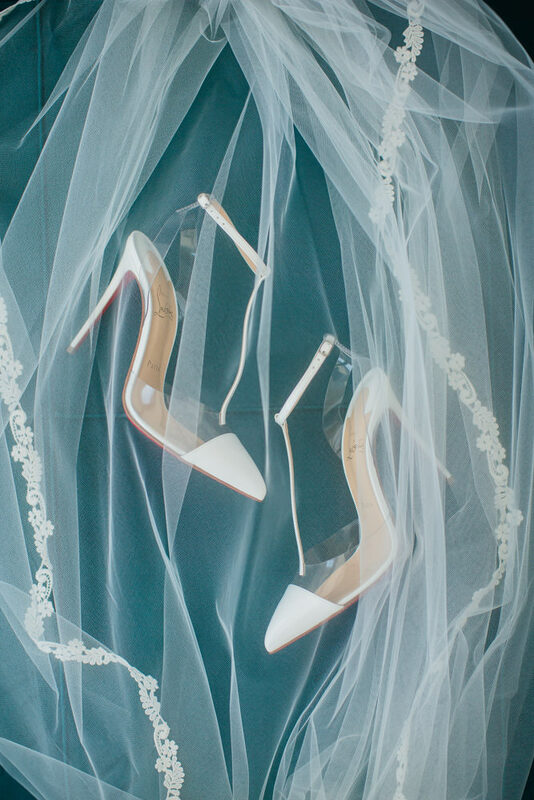 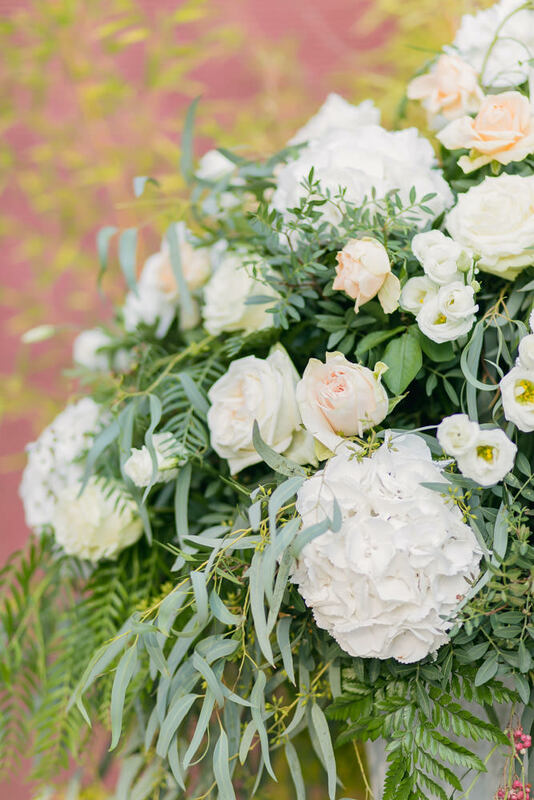 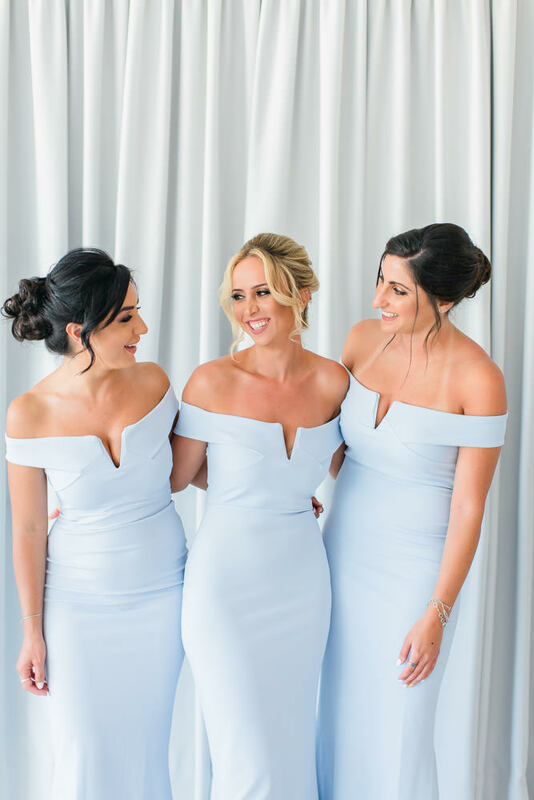 Wedding perfection means months of planning ahead, finding the one dress, deciding on florals and nailing the perfect wedding venue! 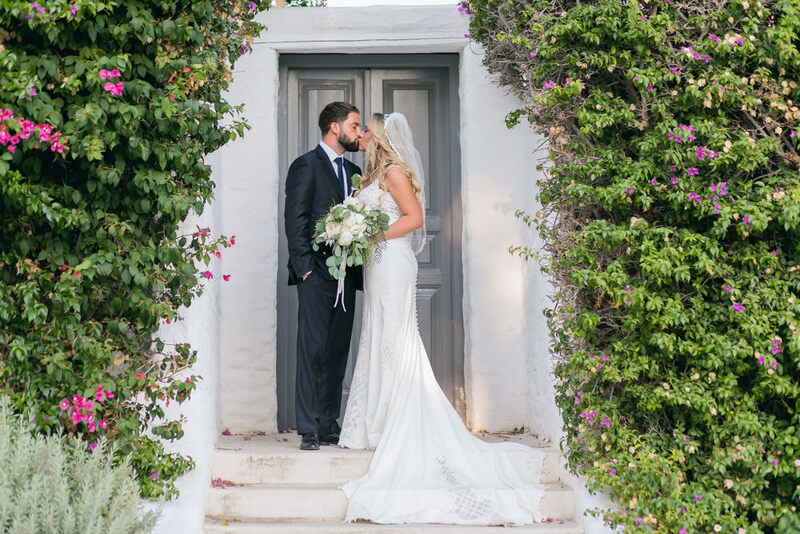 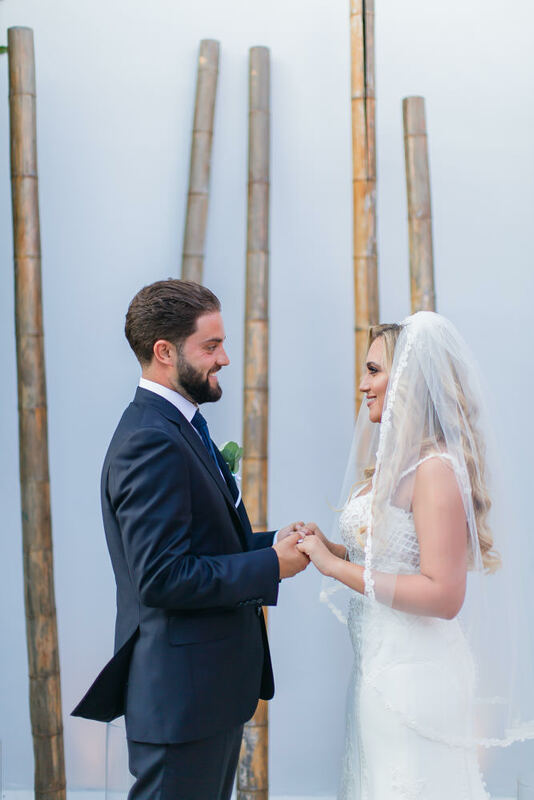 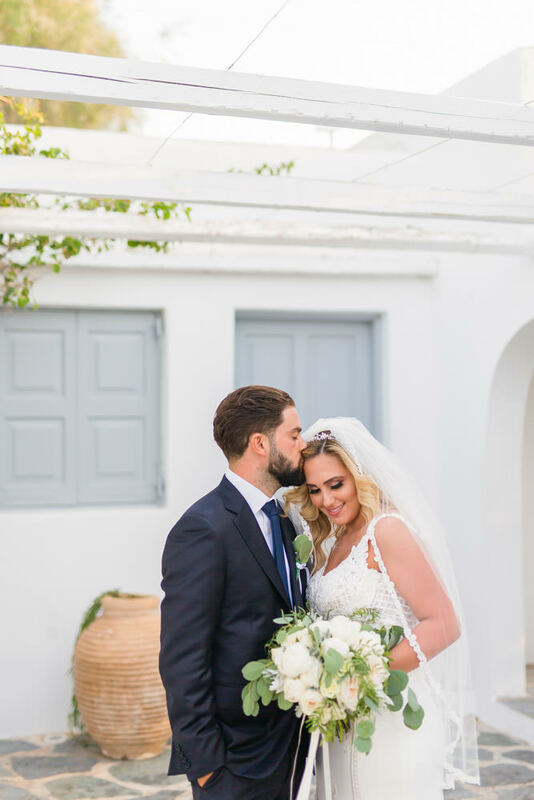 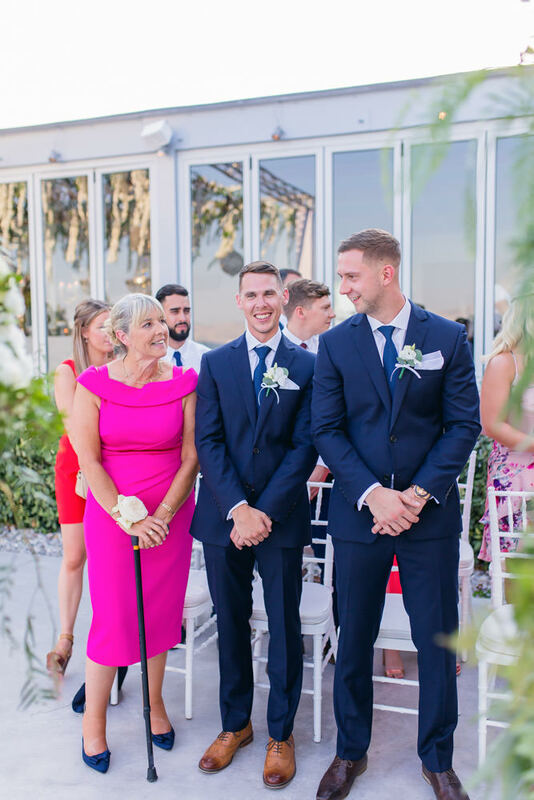 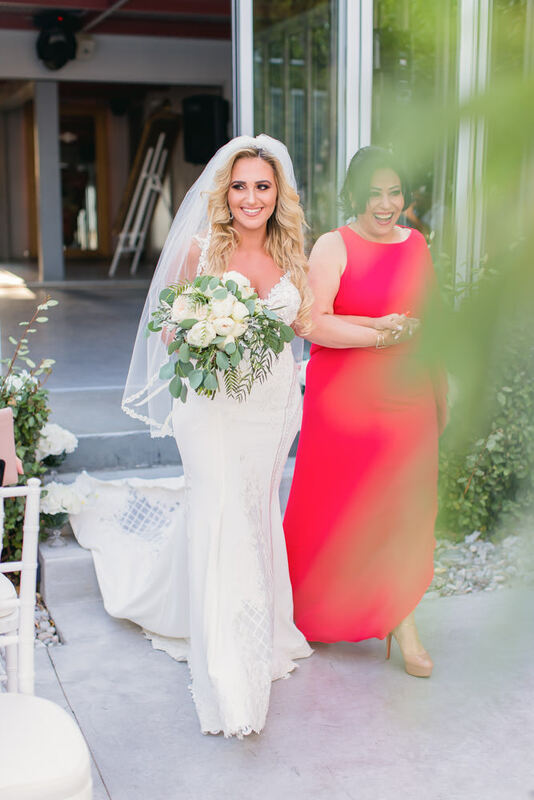 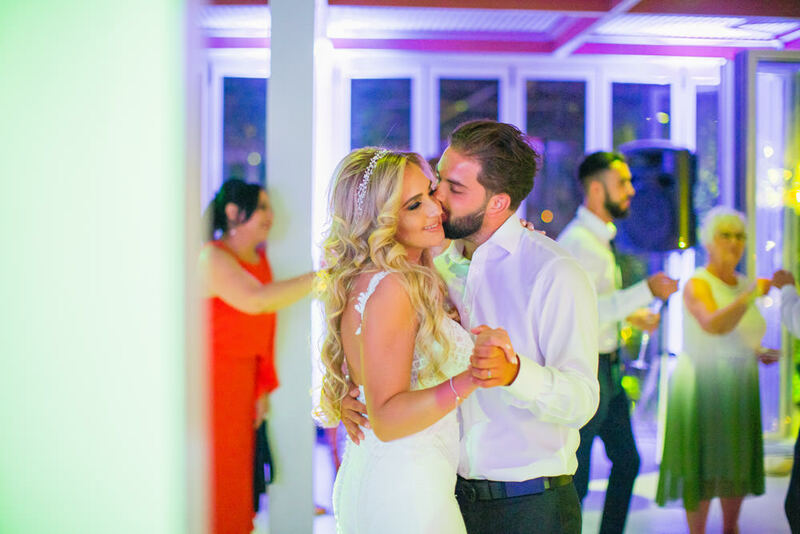 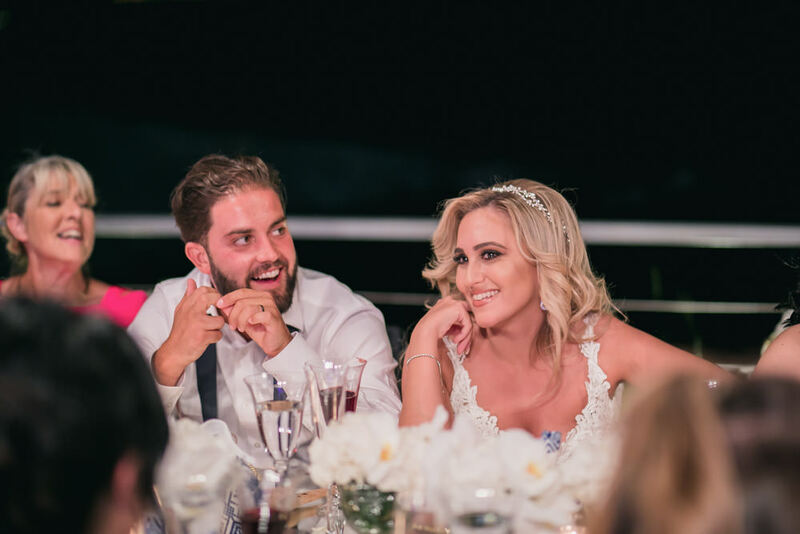 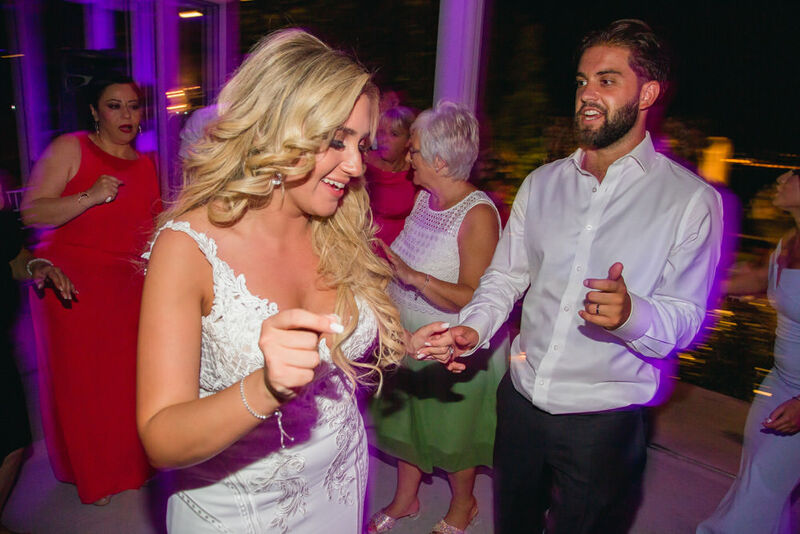 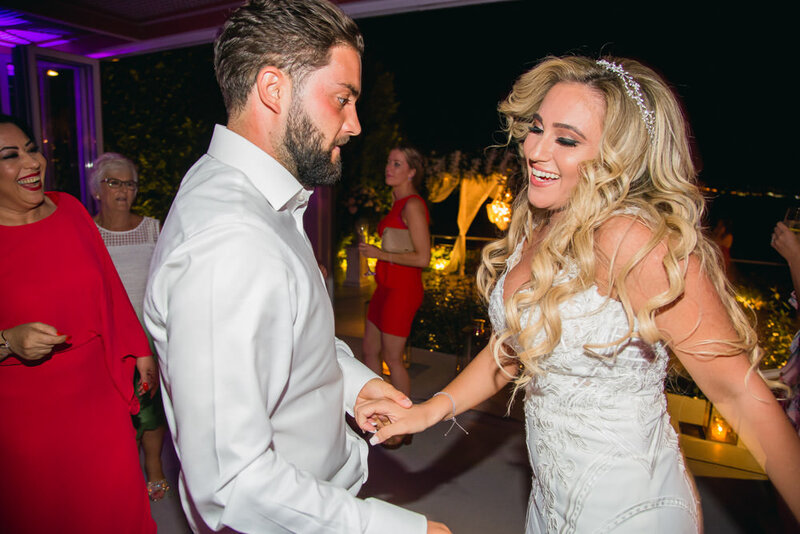 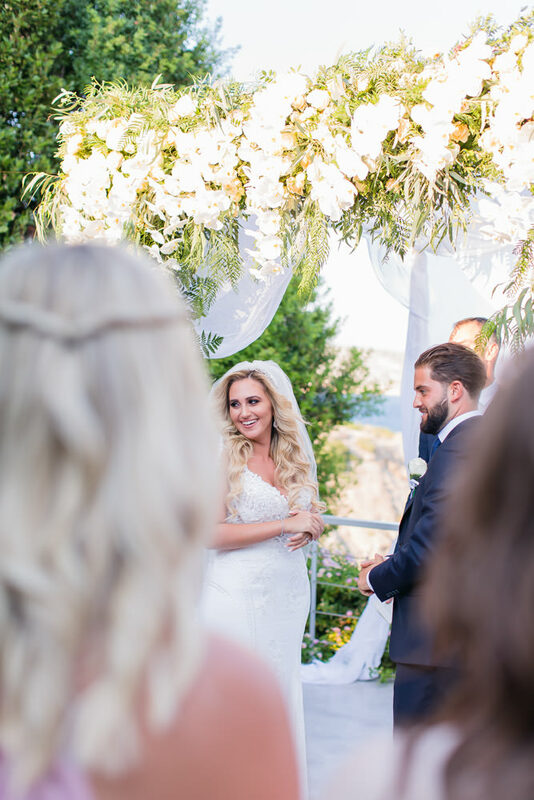 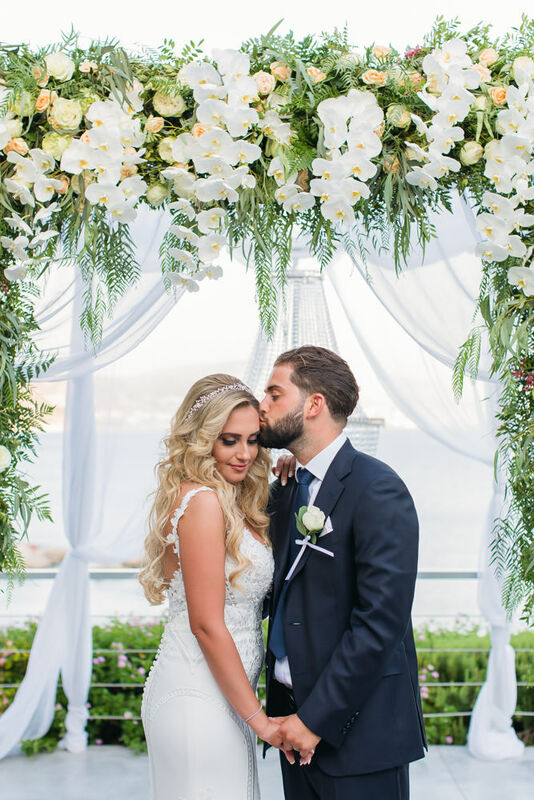 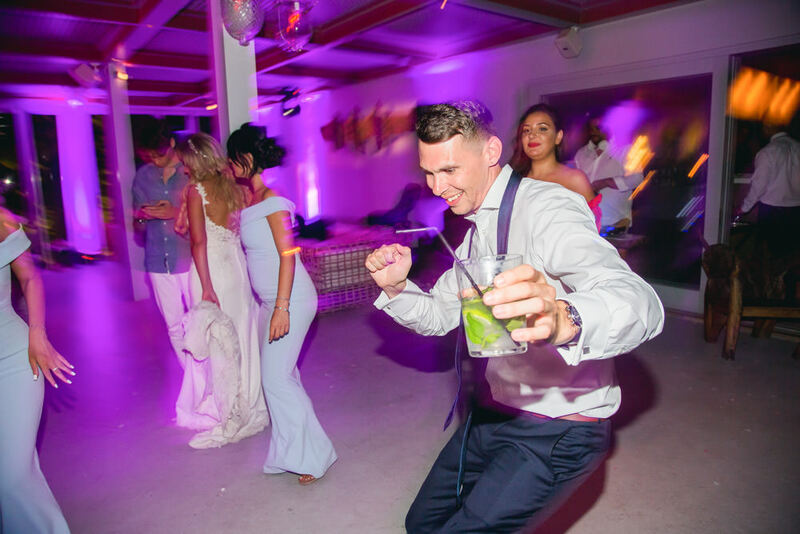 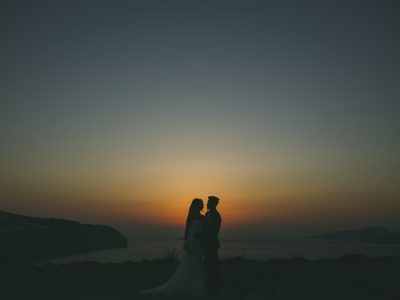 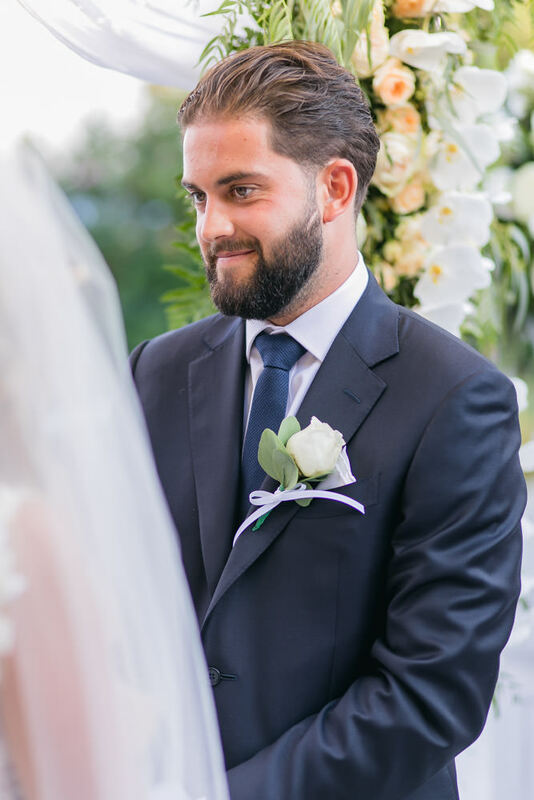 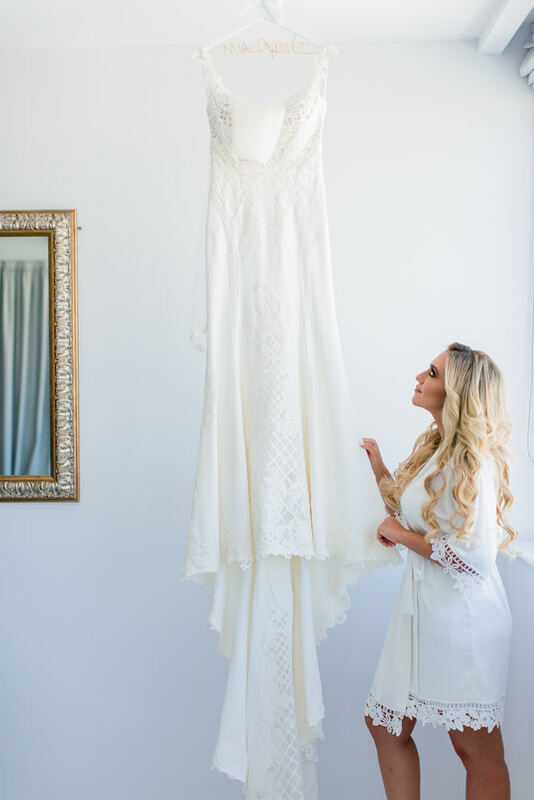 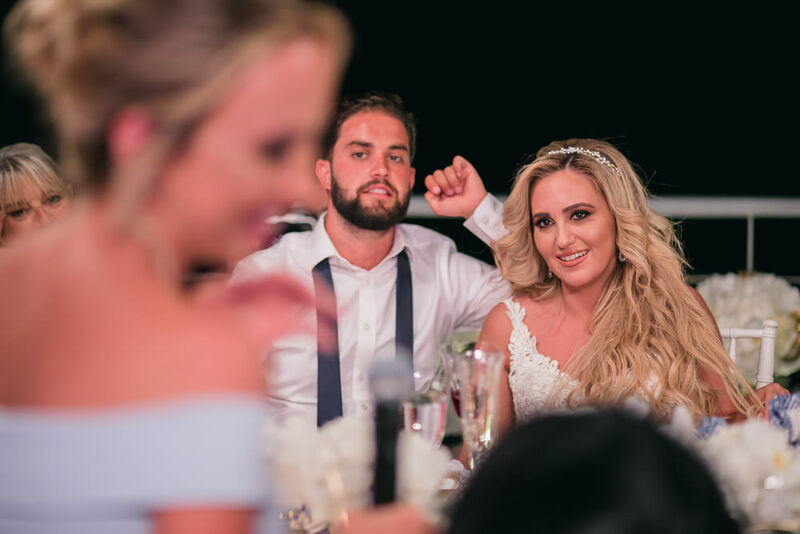 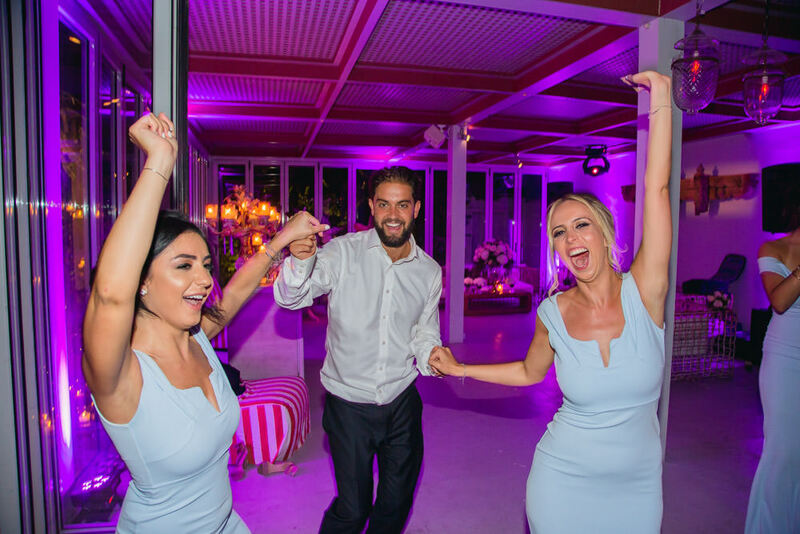 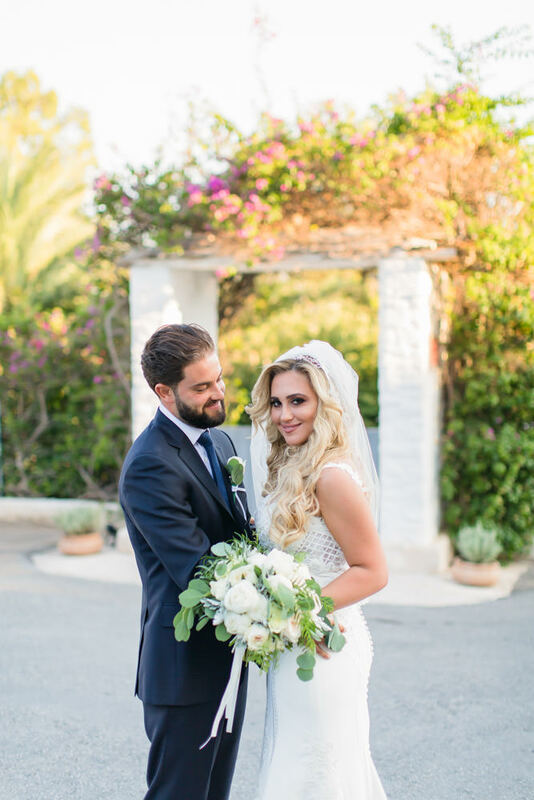 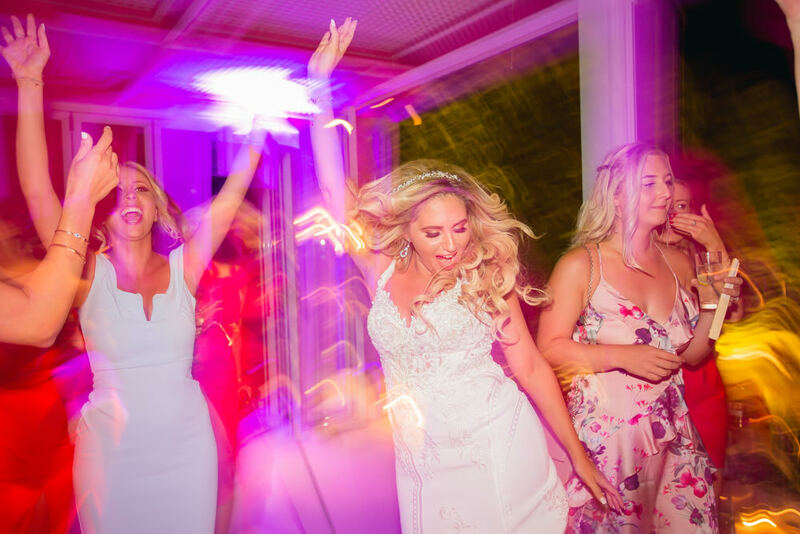 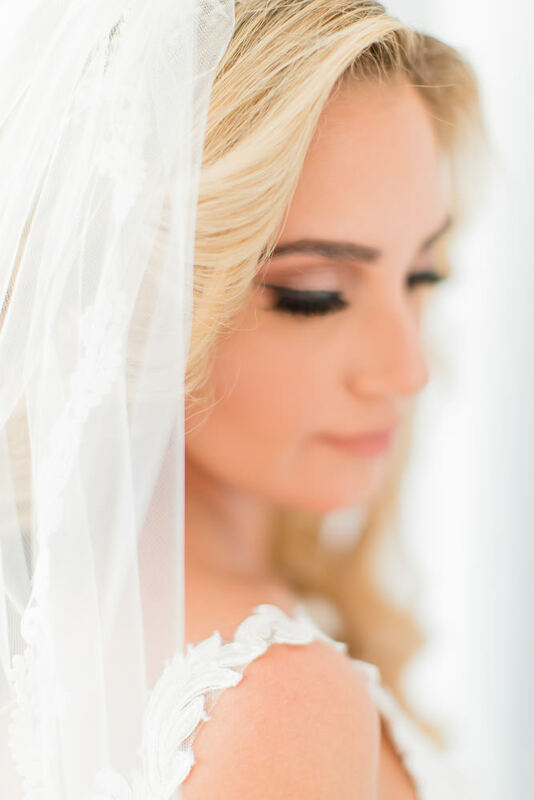 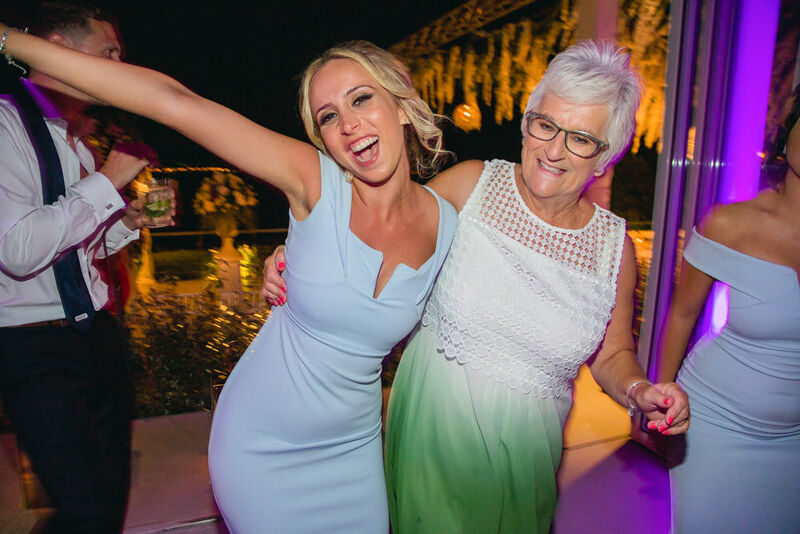 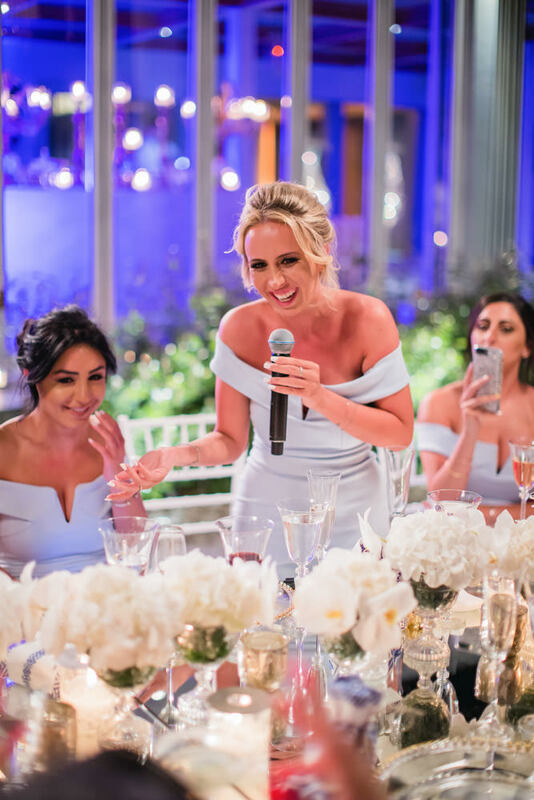 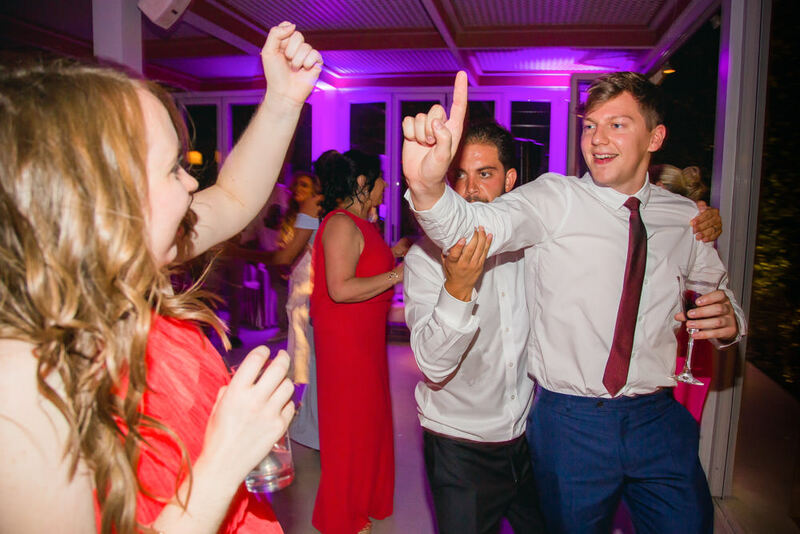 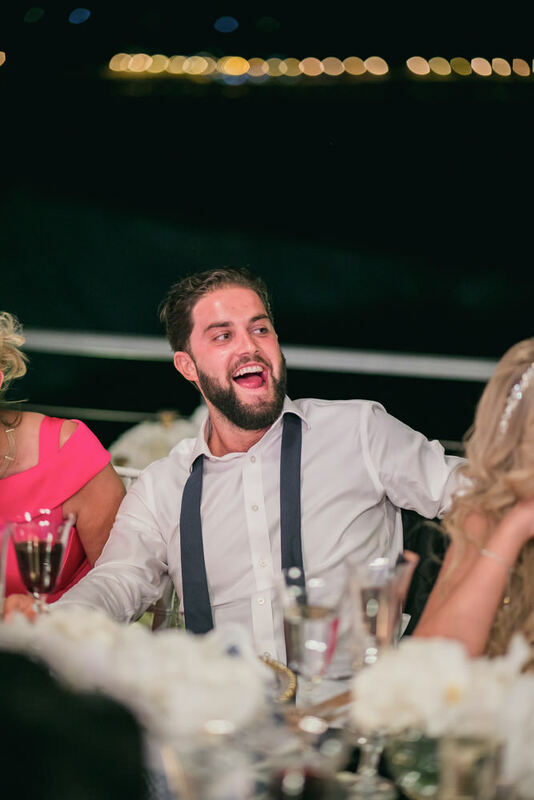 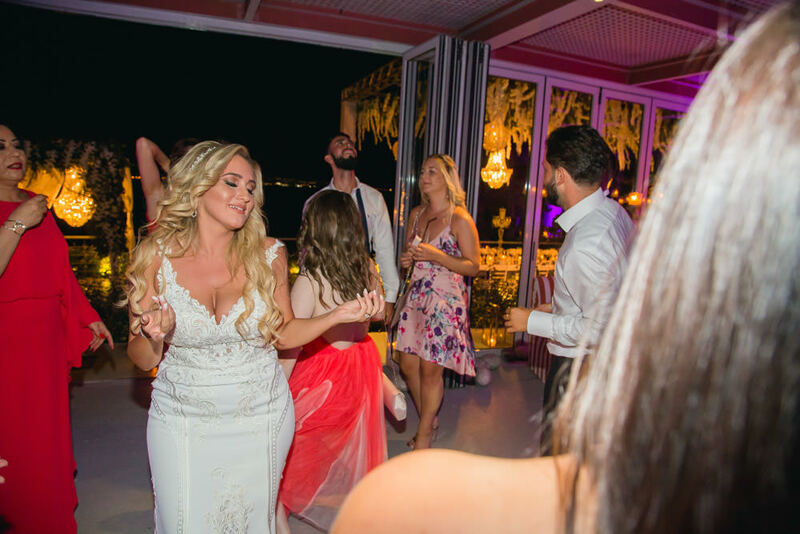 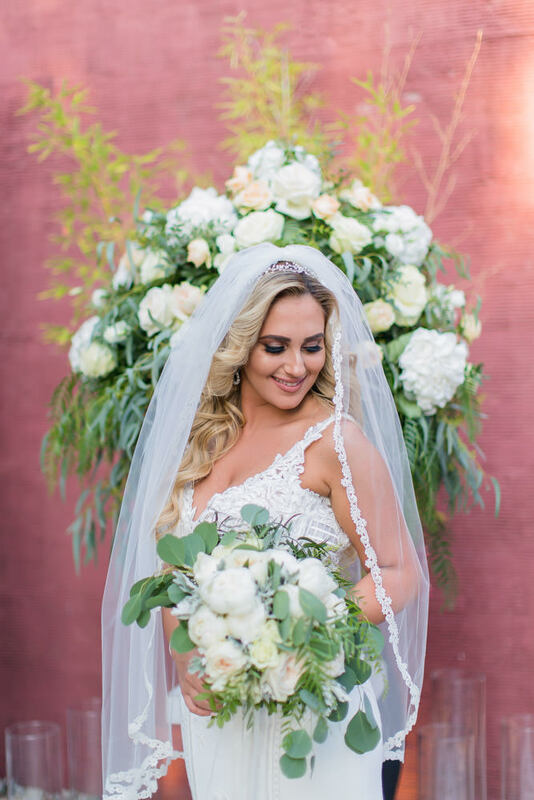 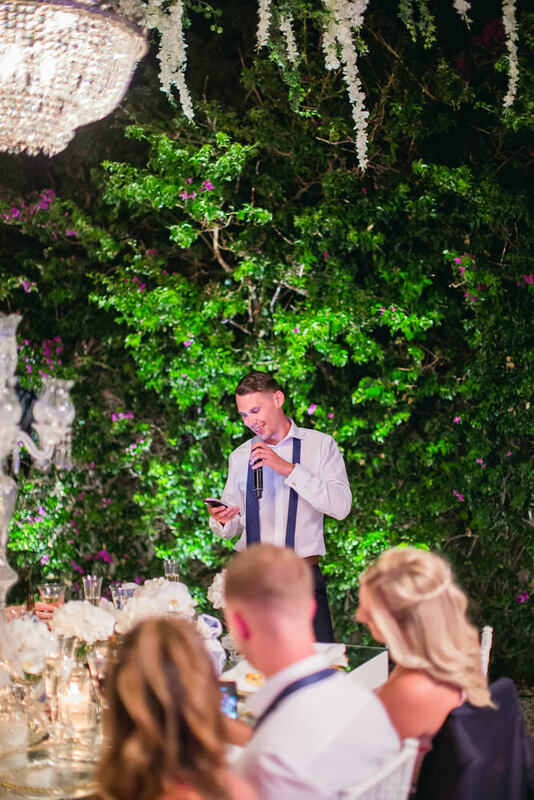 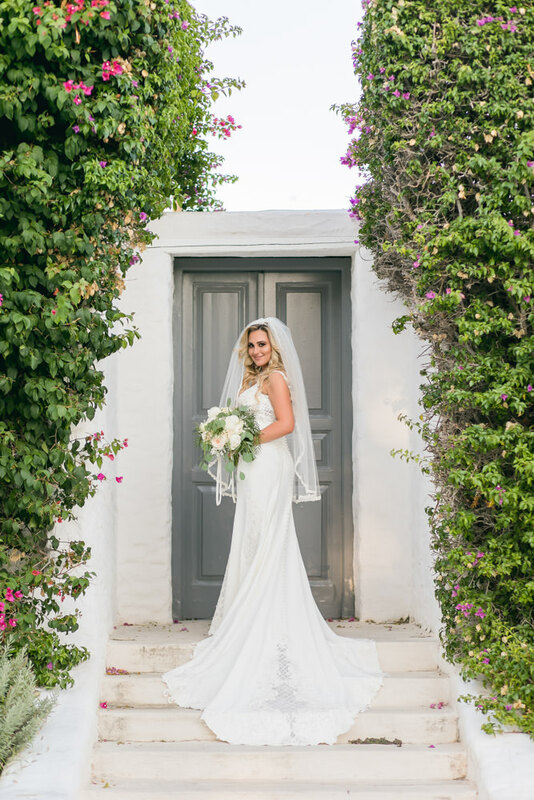 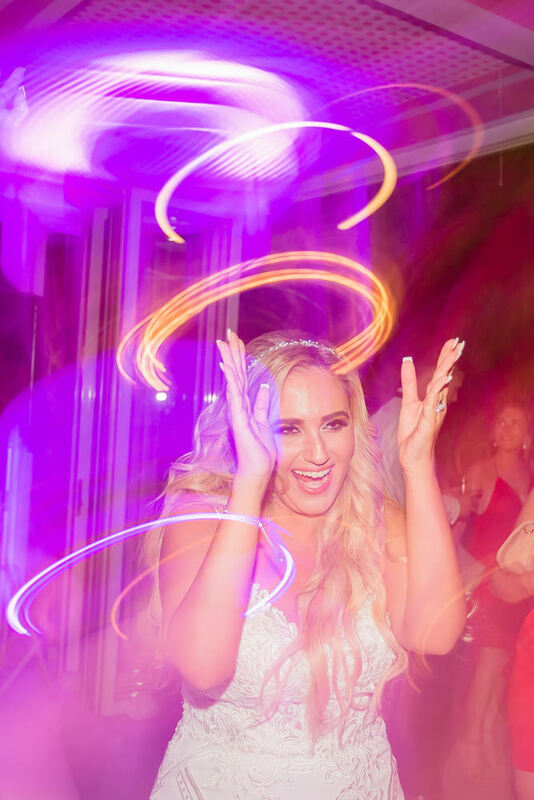 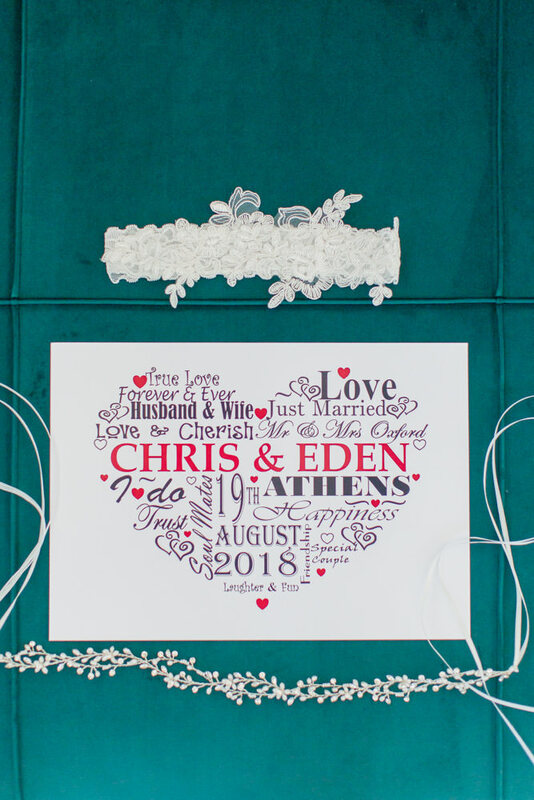 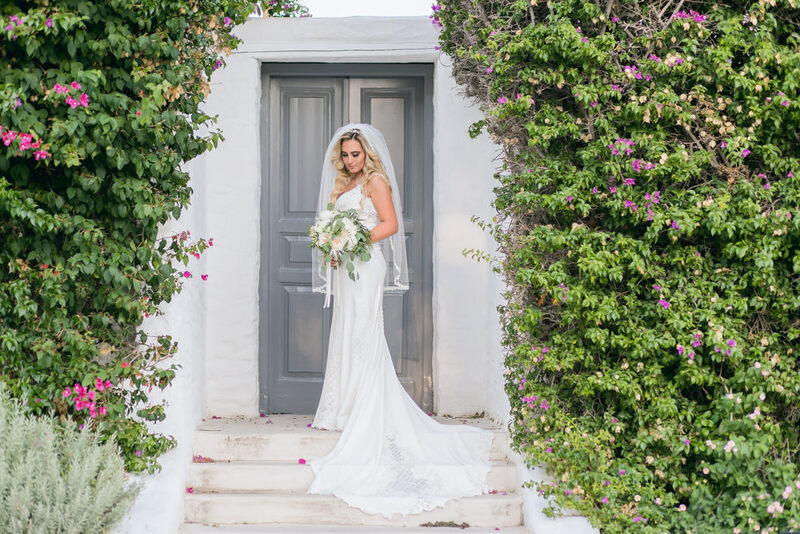 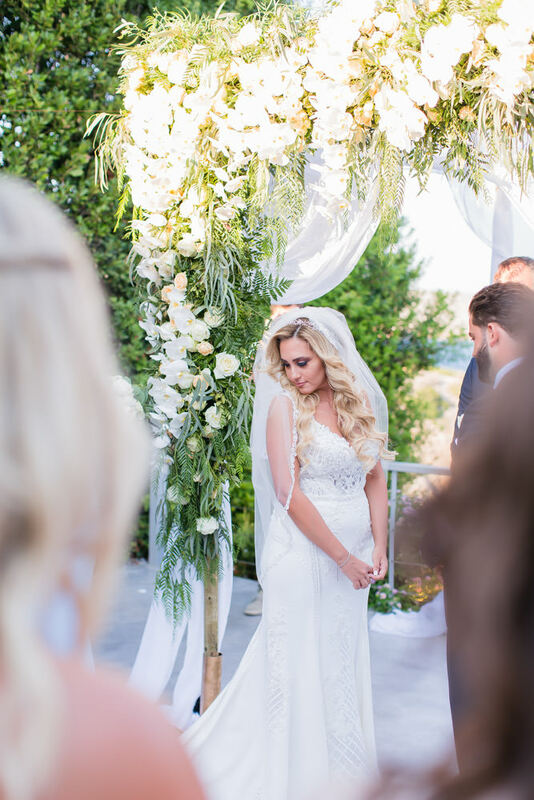 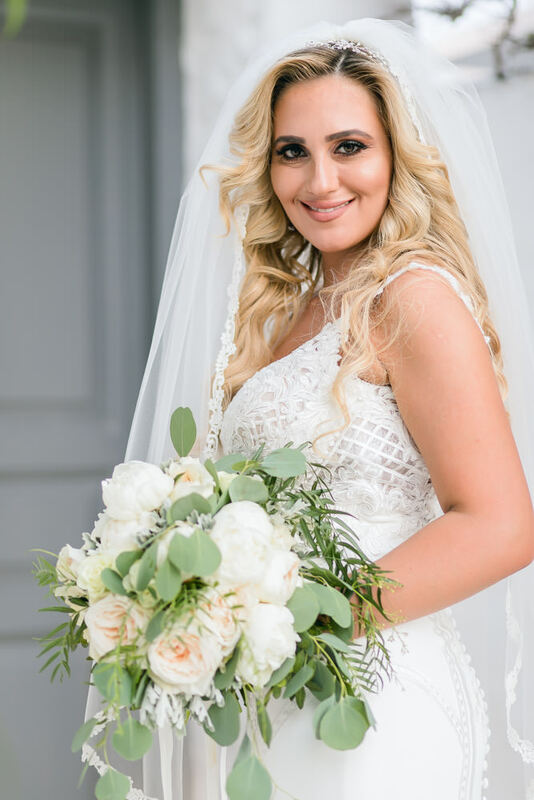 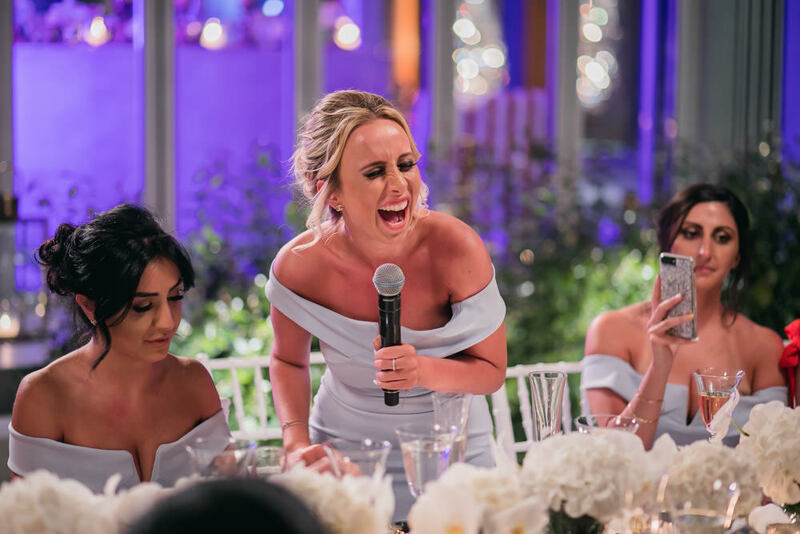 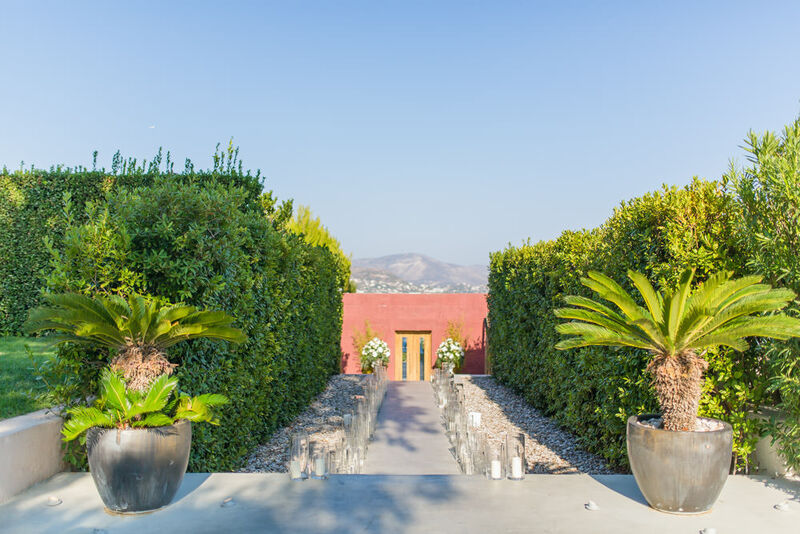 For our bride and groom Eden and her Chris it was Island Athens Riviera C-Lounge, a garden ensconced terrace with jaw-dropping views of the Saronic Gulf where blush sunsets meet azure waters and one wedding moment melts into another in utter bliss. 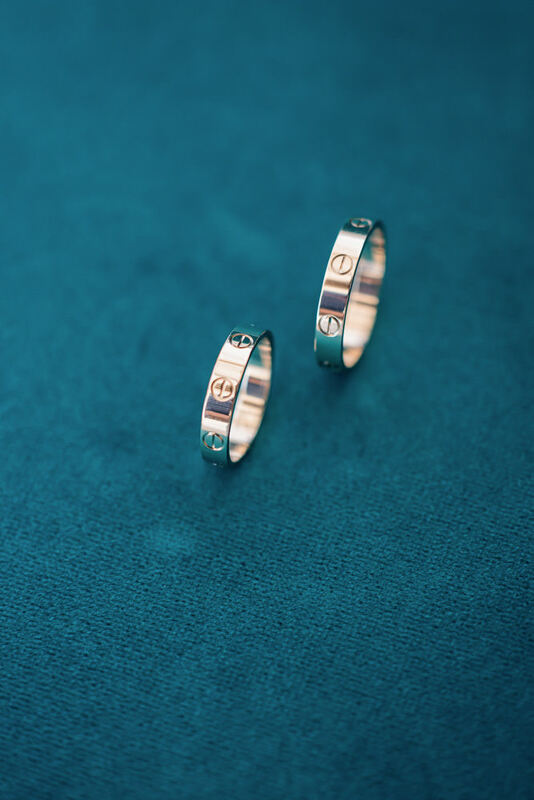 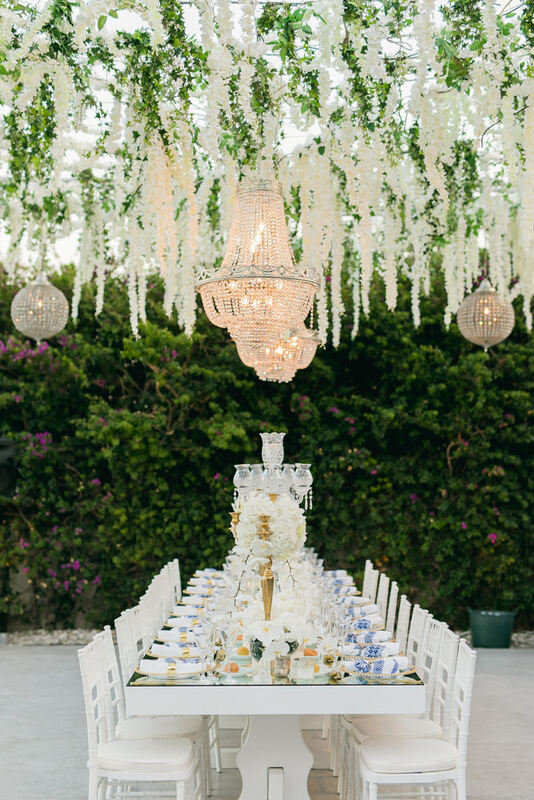 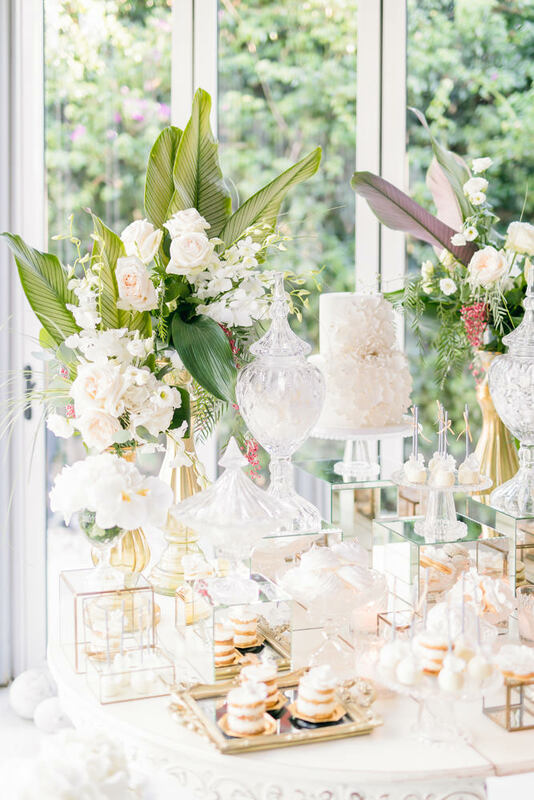 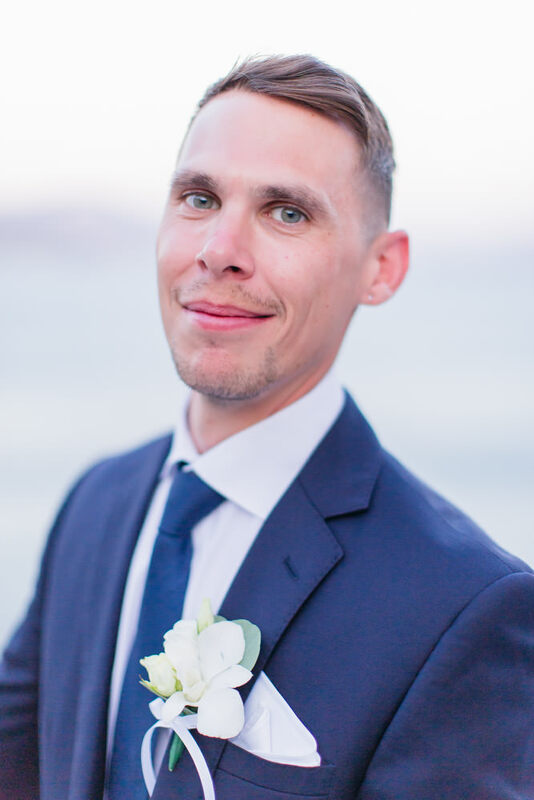 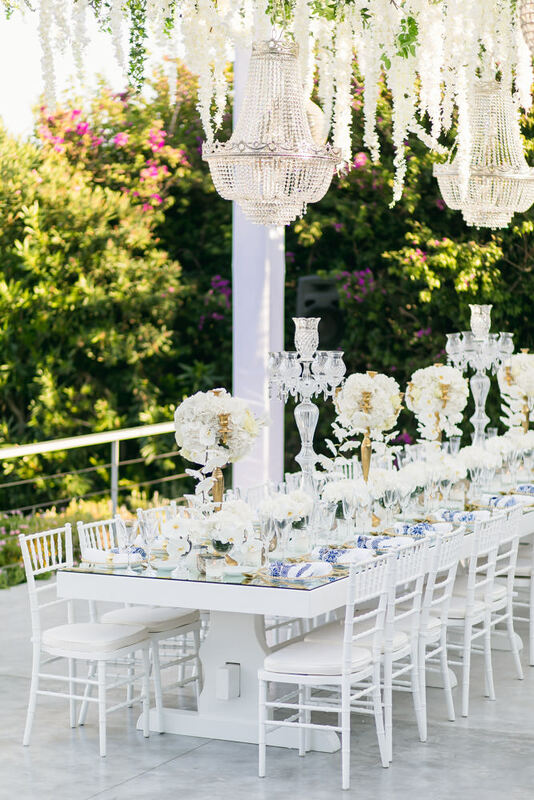 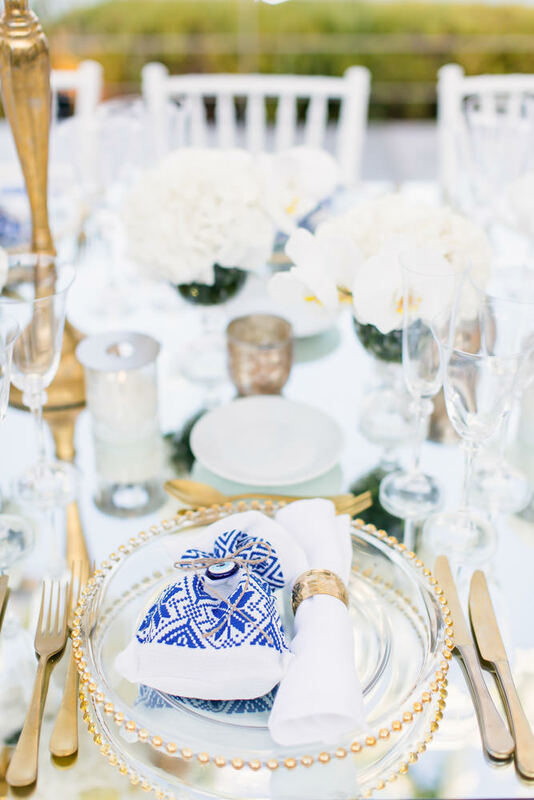 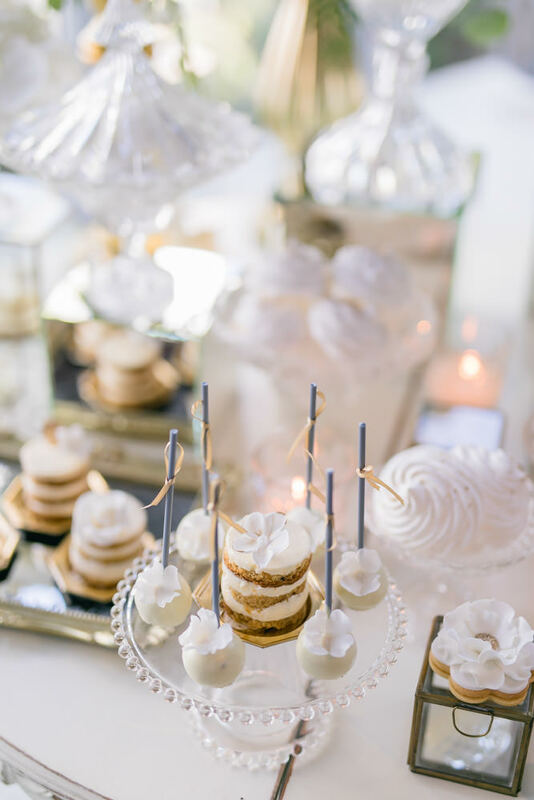 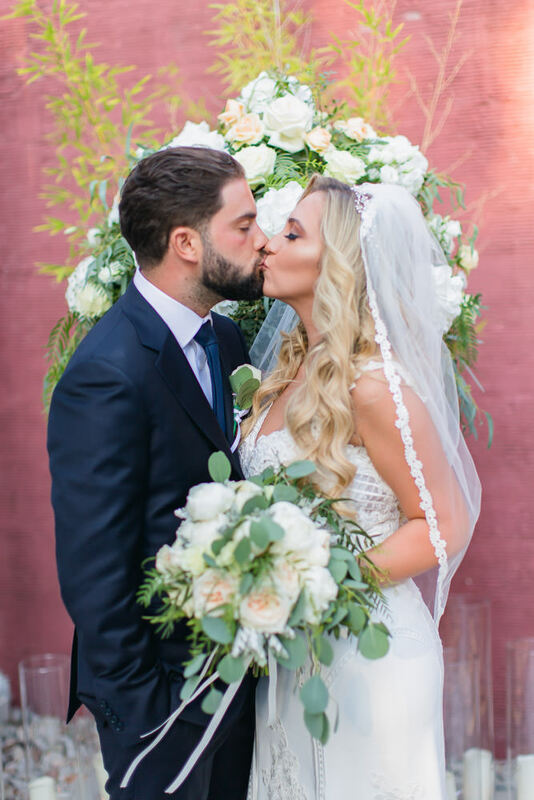 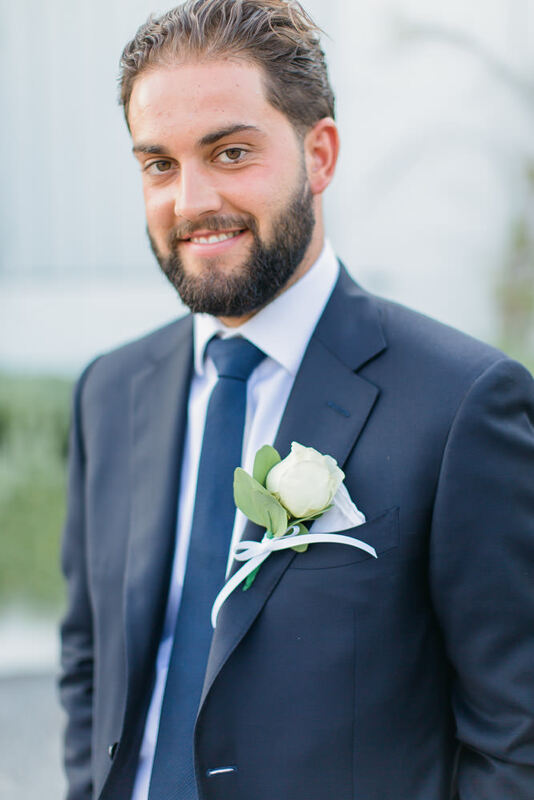 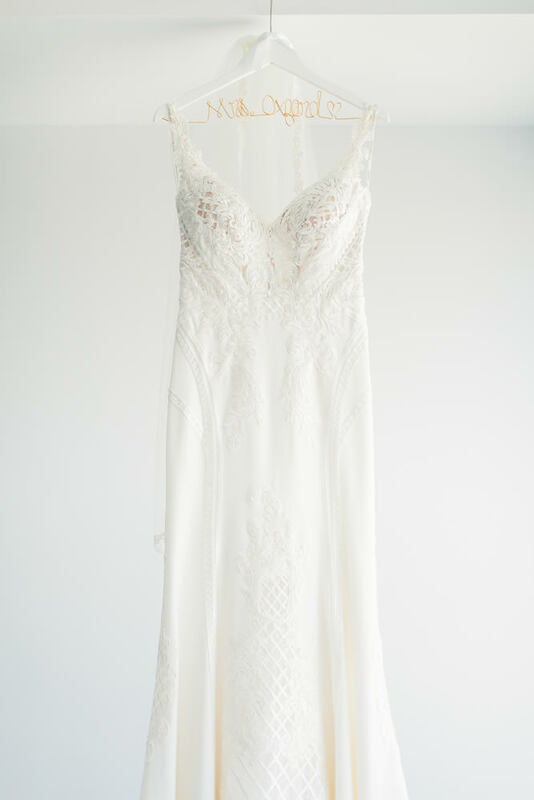 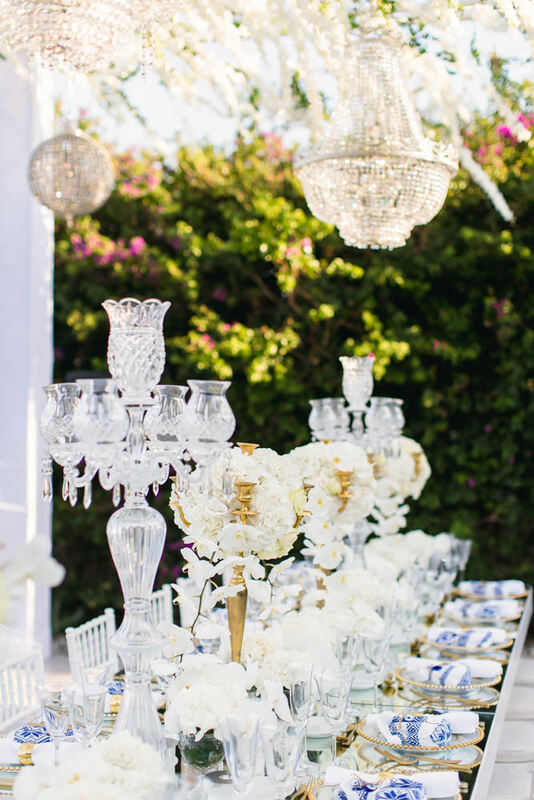 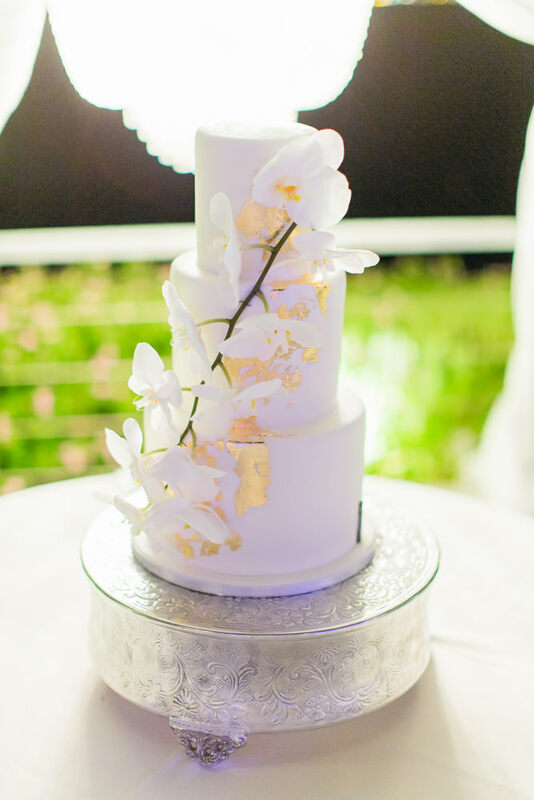 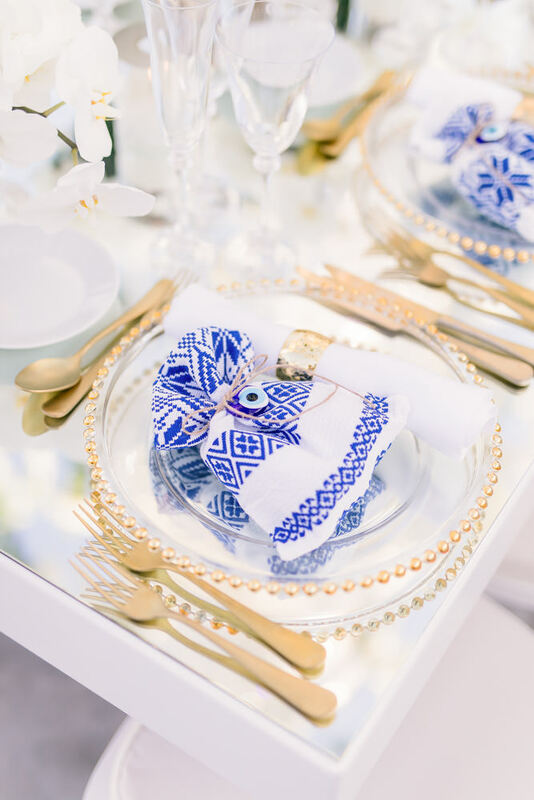 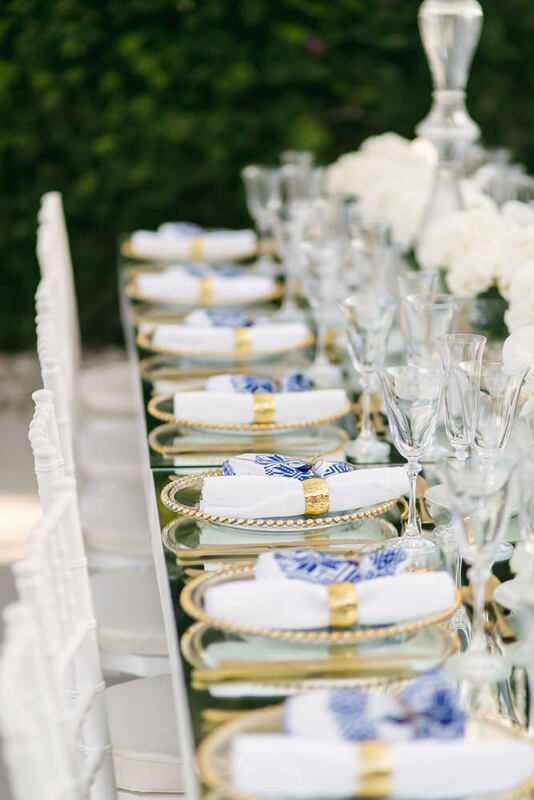 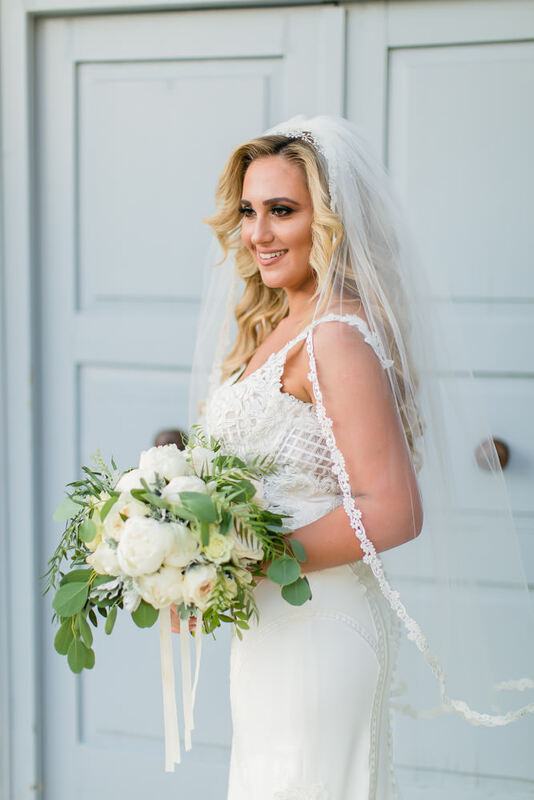 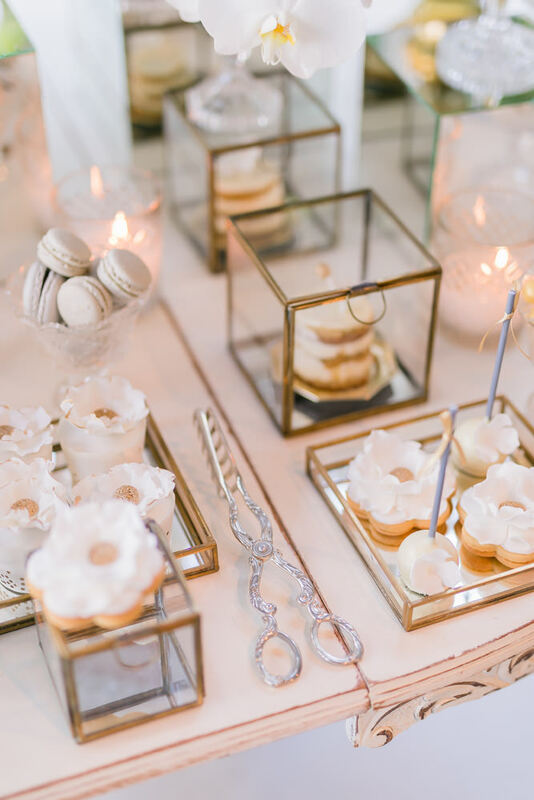 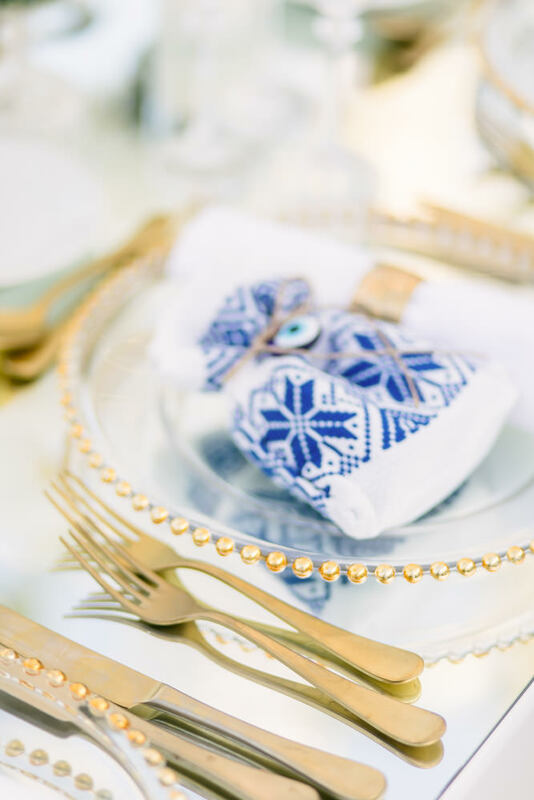 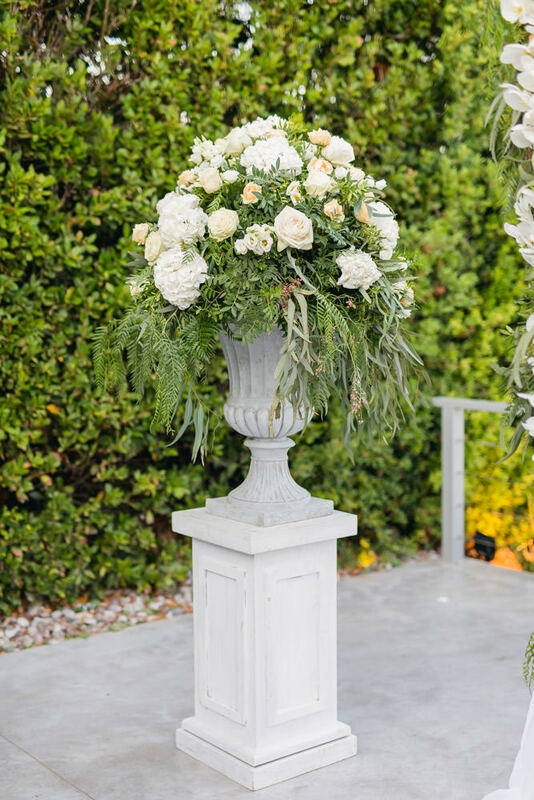 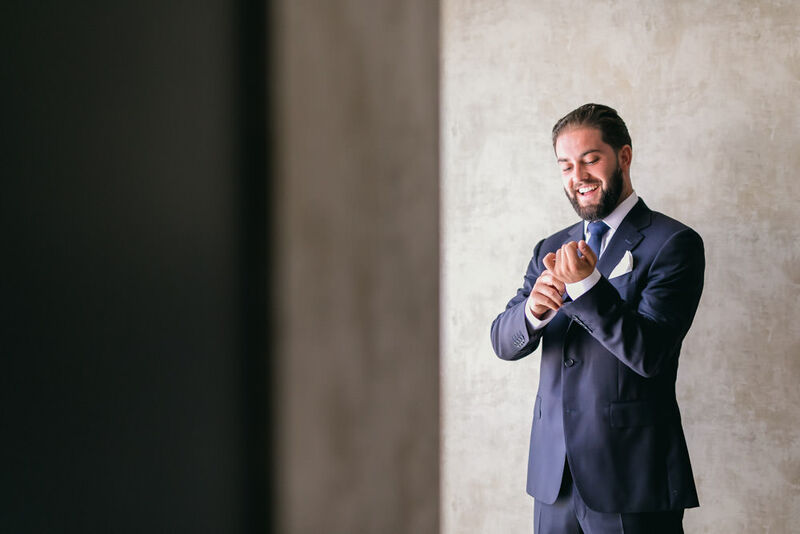 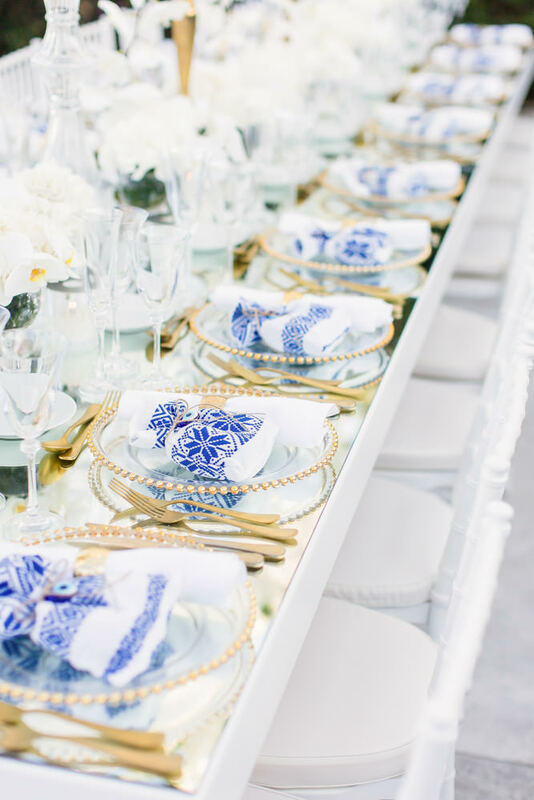 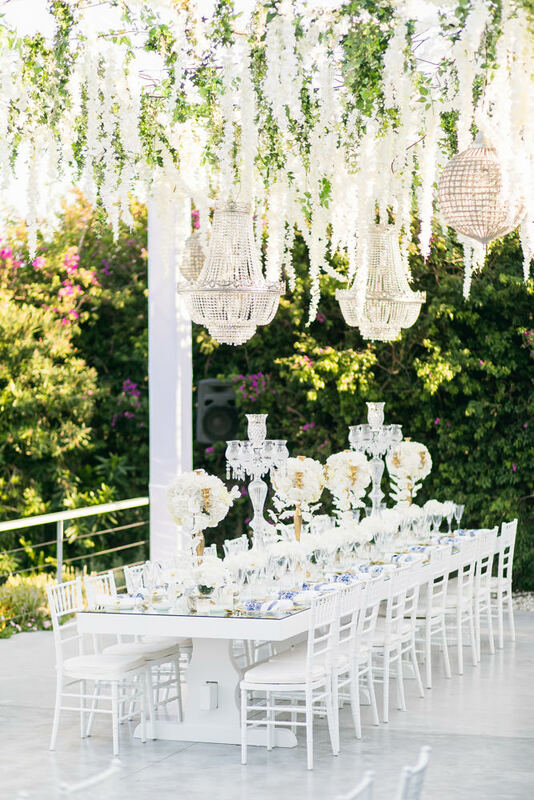 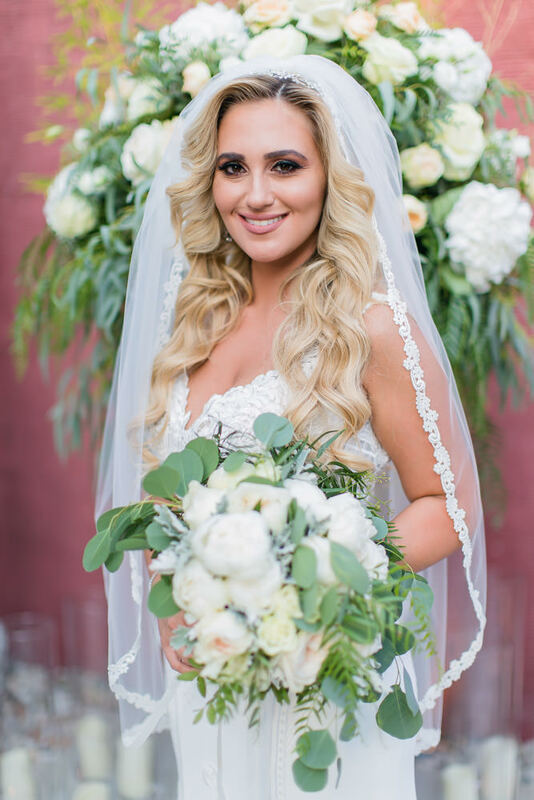 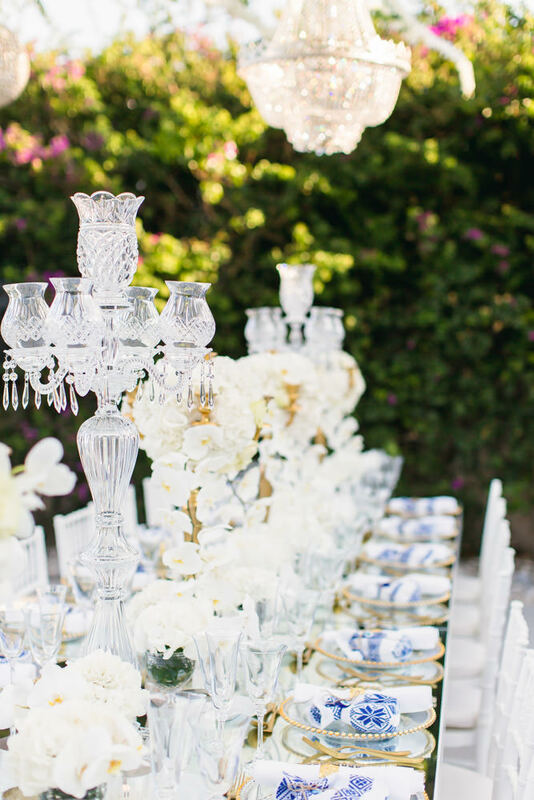 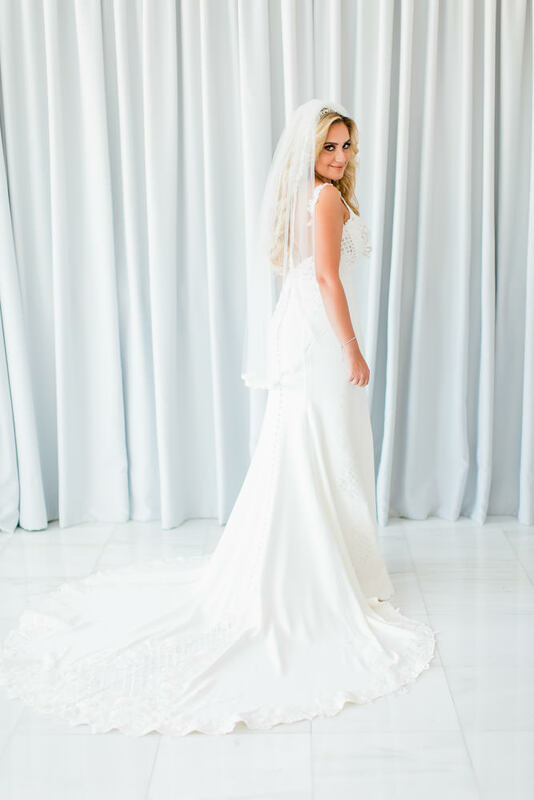 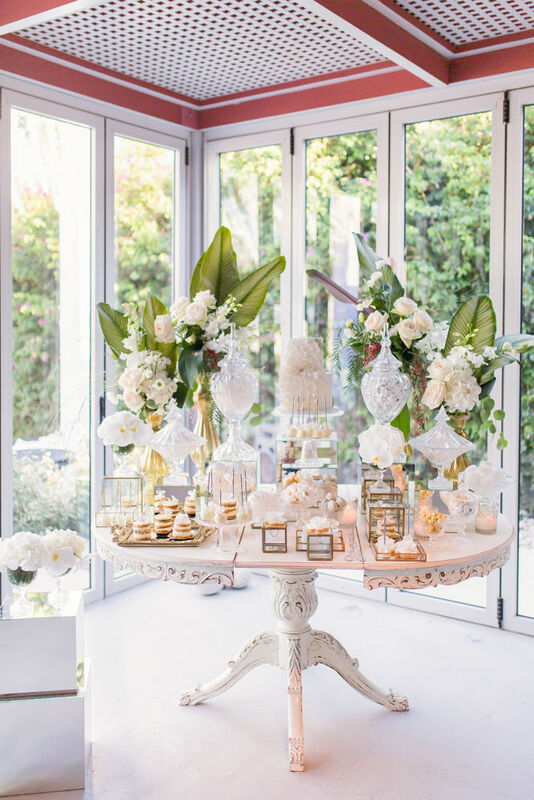 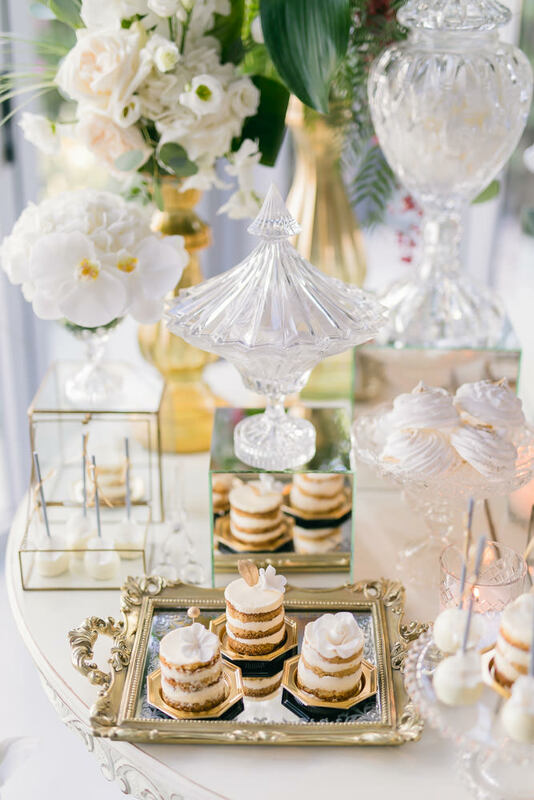 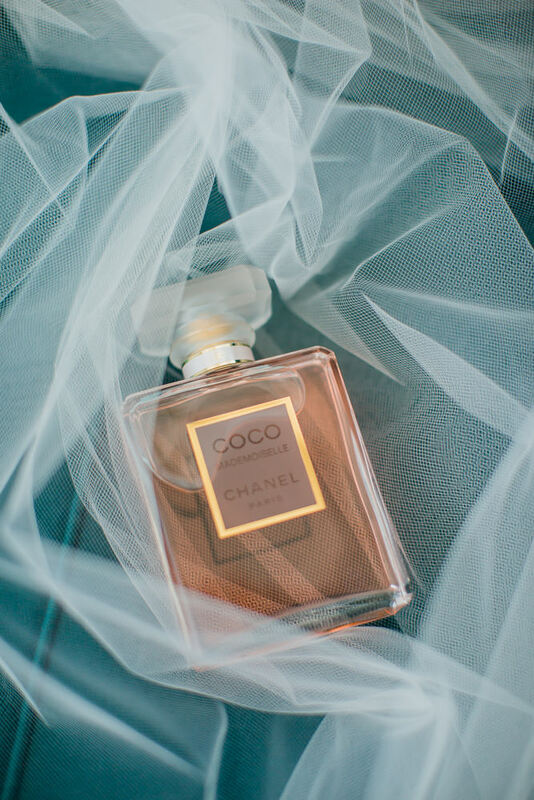 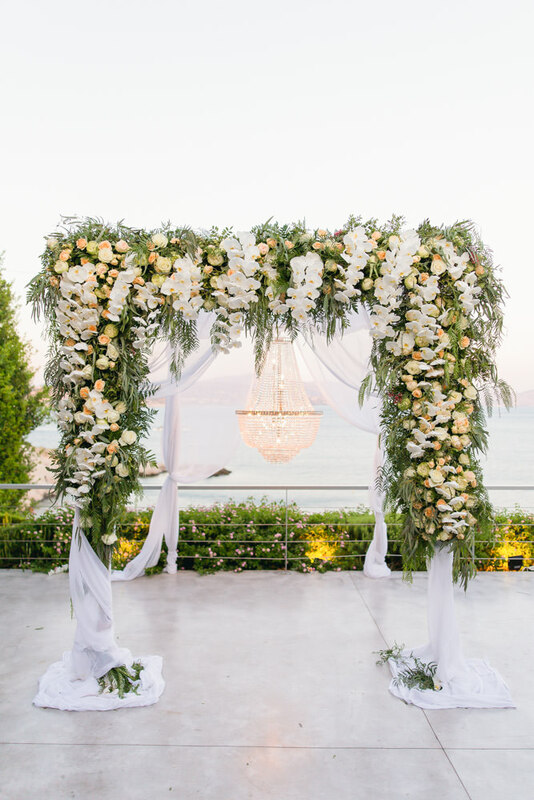 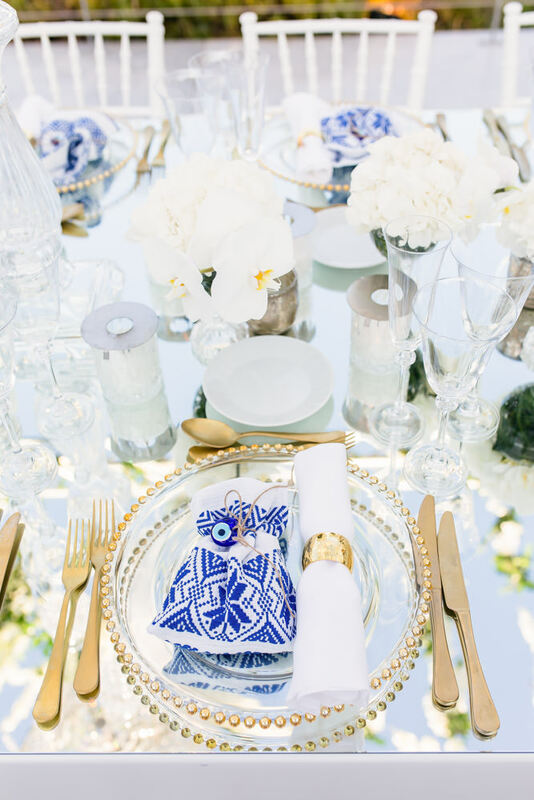 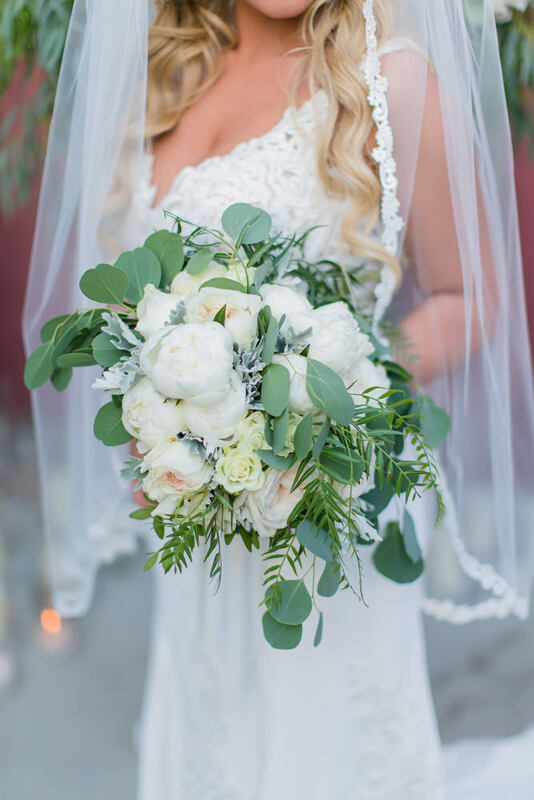 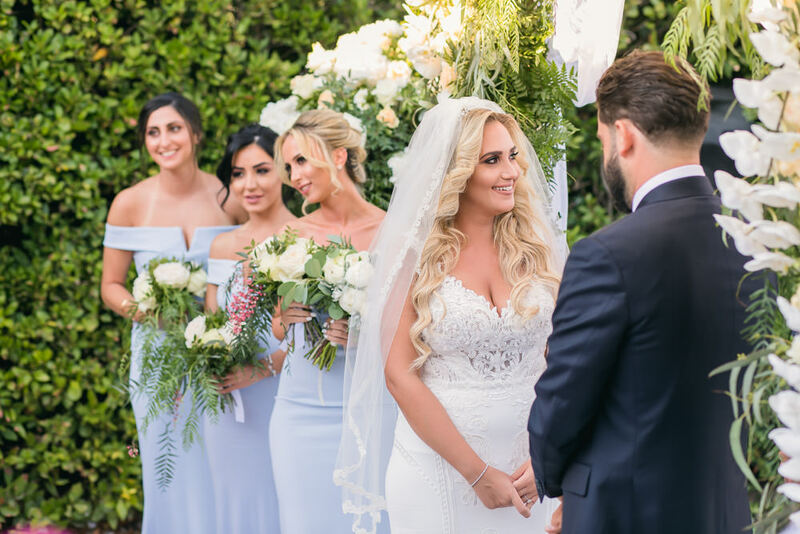 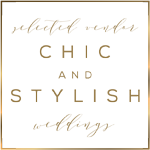 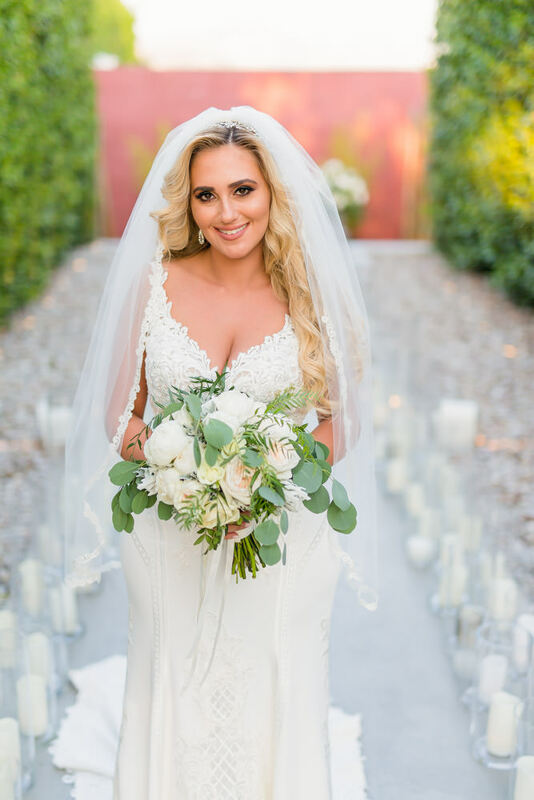 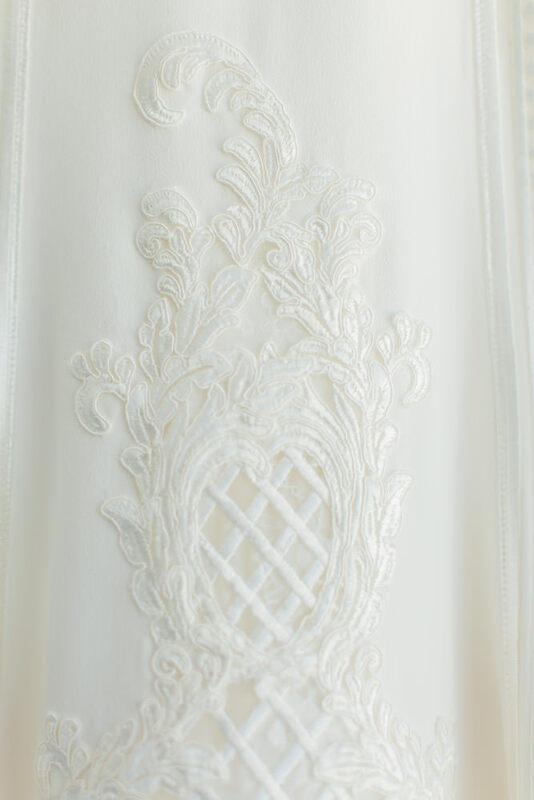 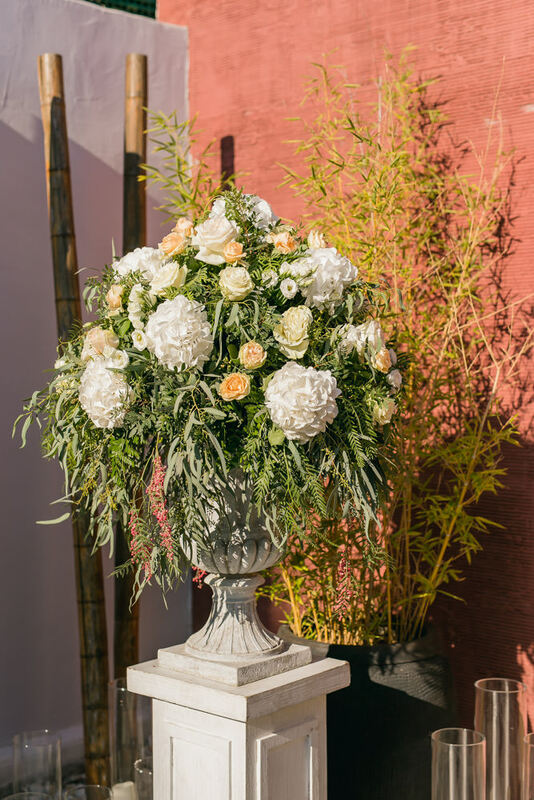 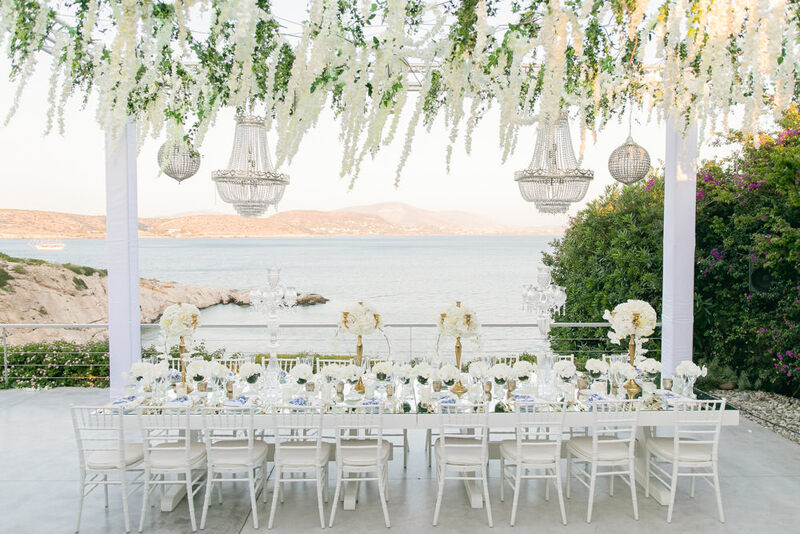 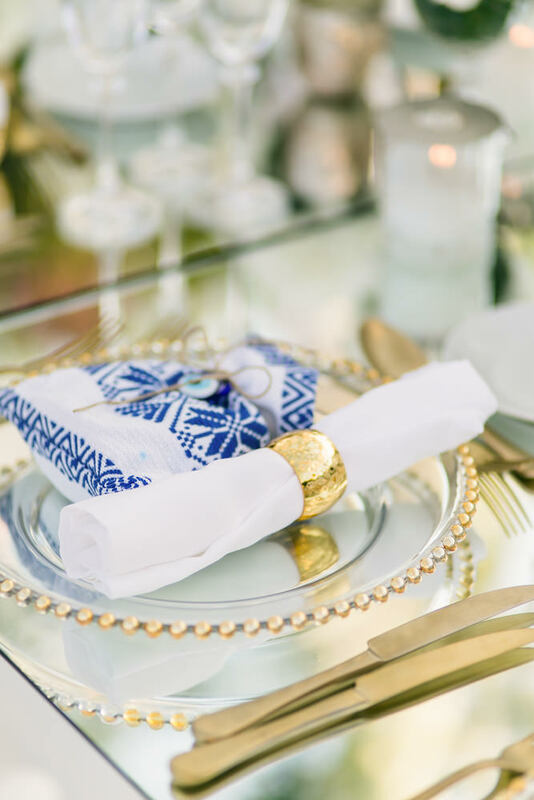 For that they had their wedding planner The 12 Events to thank for who styled the couple’s affair in ever so elegant white and gold accents with a touch of Grecian luxe. 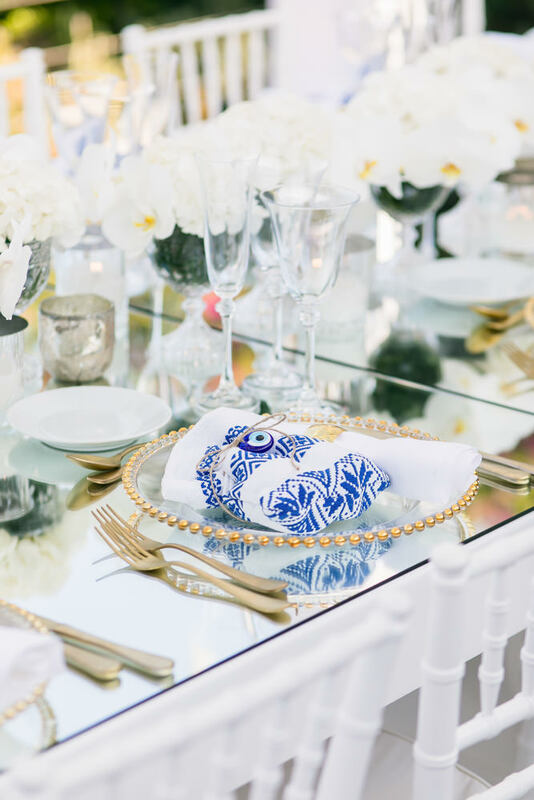 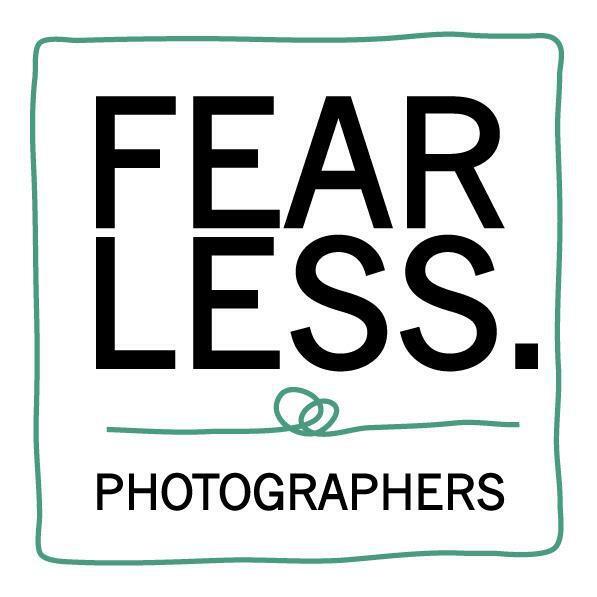 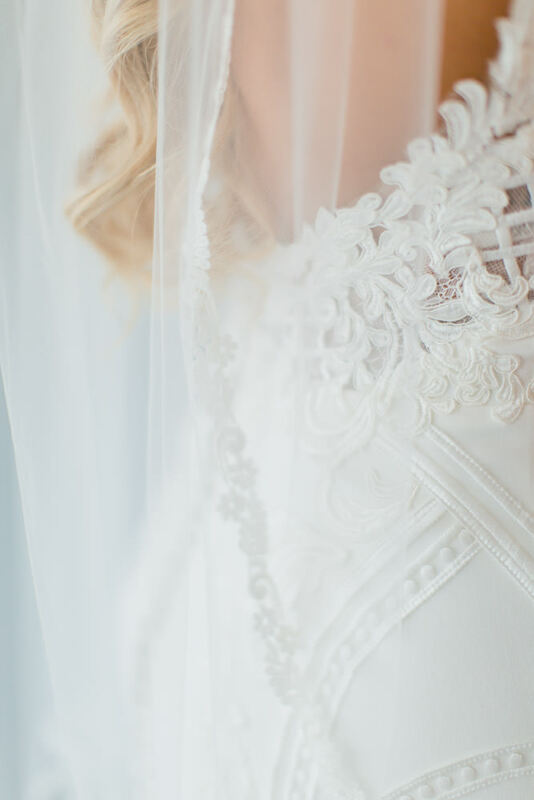 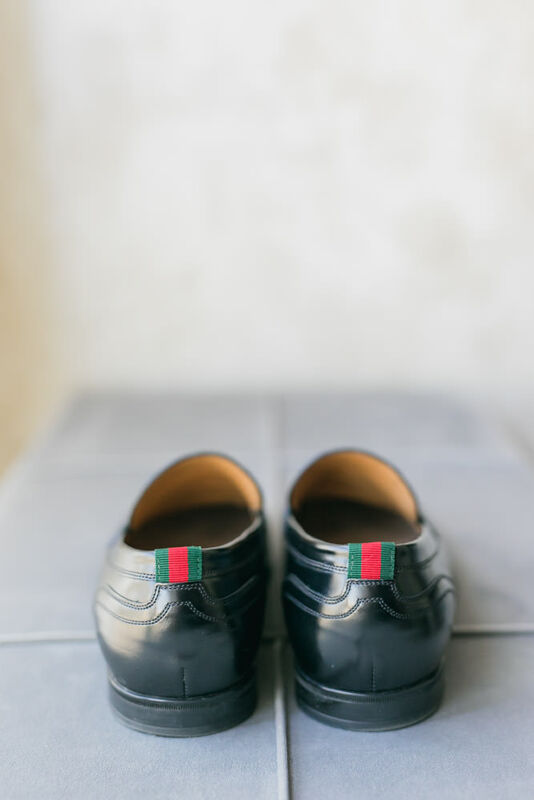 As for us, we wanted them to have a perfectly curated wedding collection that came out seamlessly from their early portraits and wedding details, to their intimate wedding dinner, and their all-night bash! 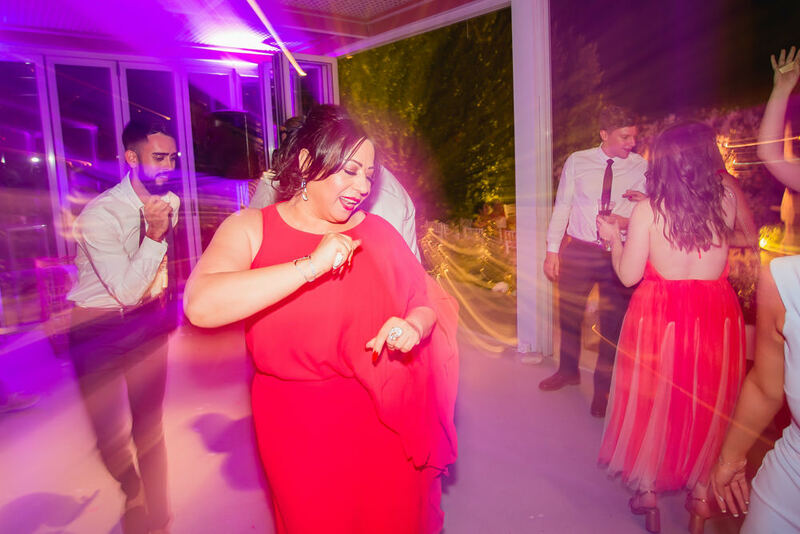 Take cues from their superb style and dance moves right this way! 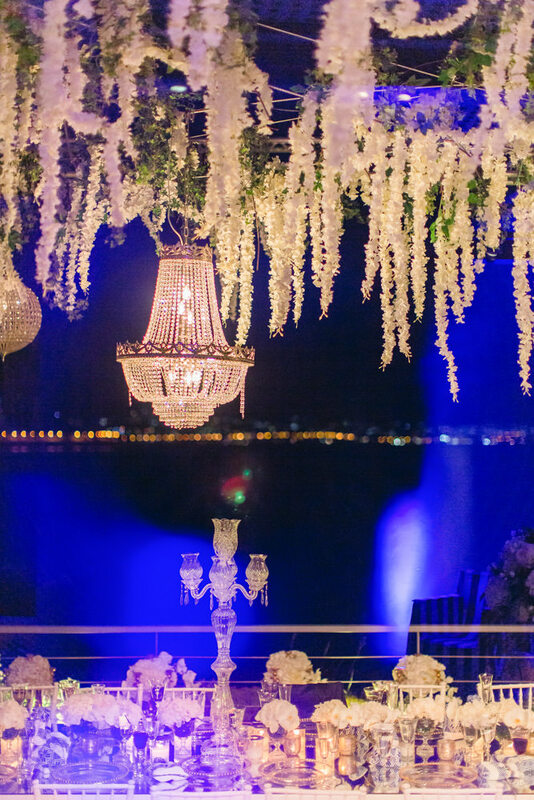 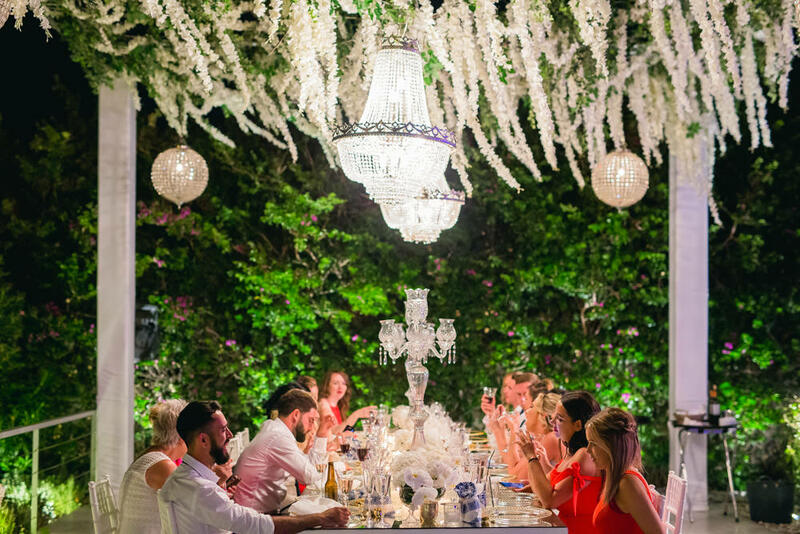 Located in Athens, “The Twelve Events” is an event management company founded by Panagiotis Kouloukakos. 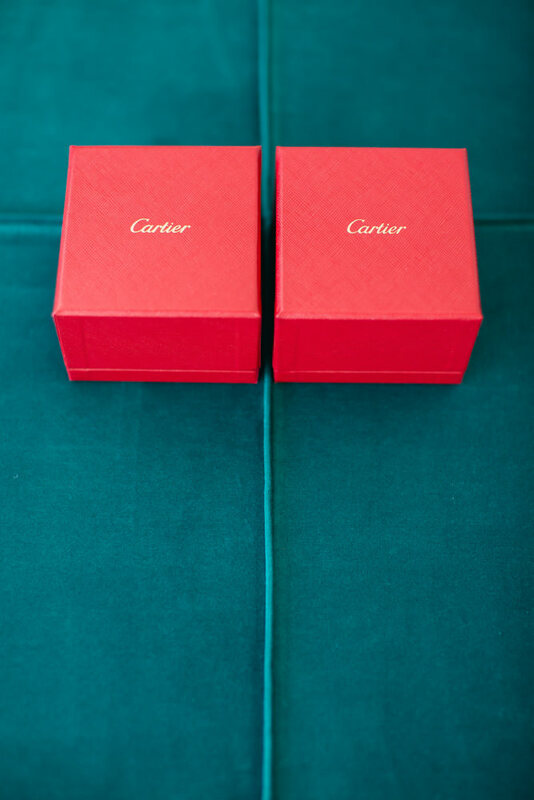 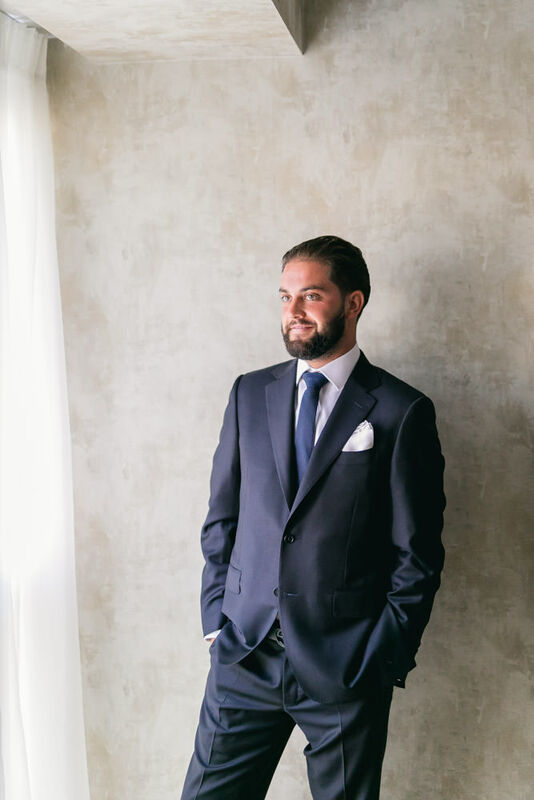 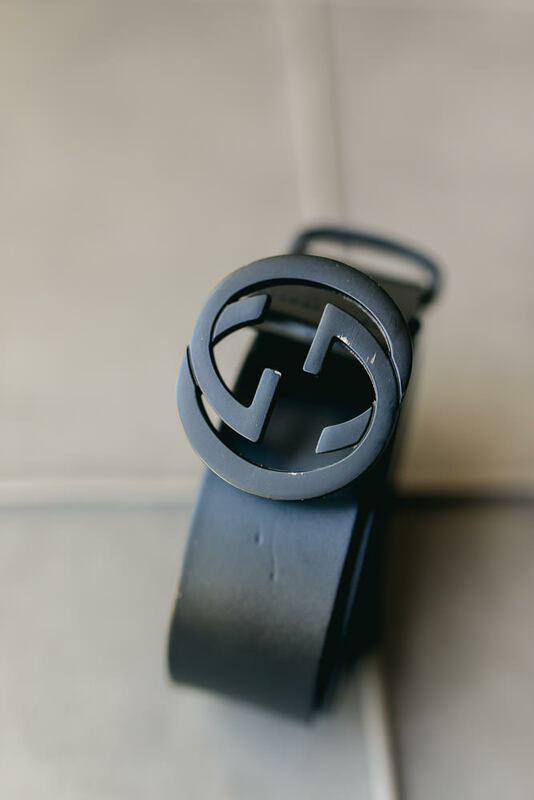 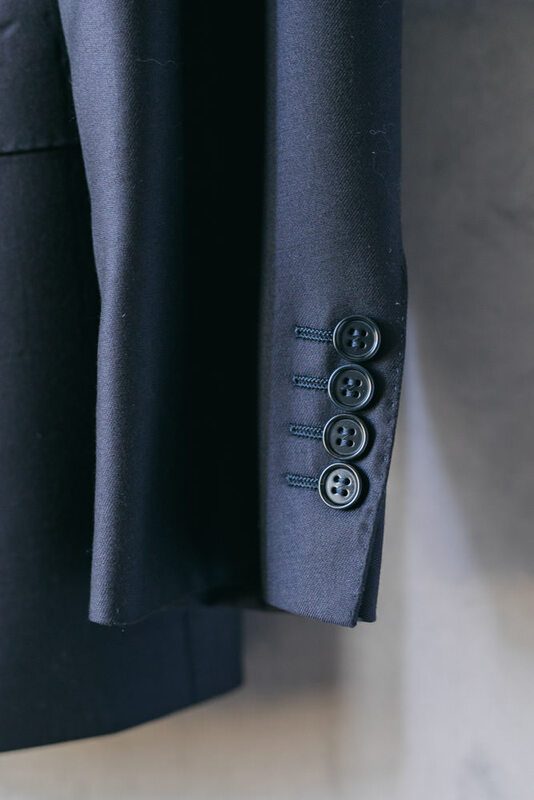 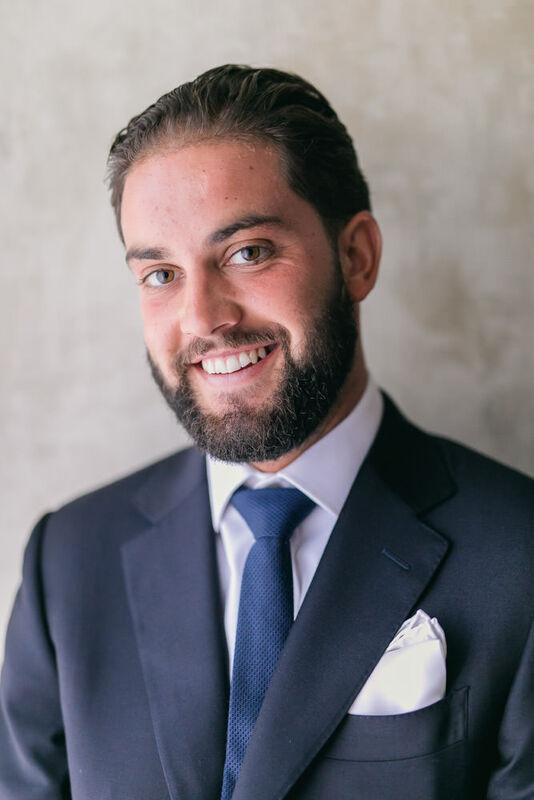 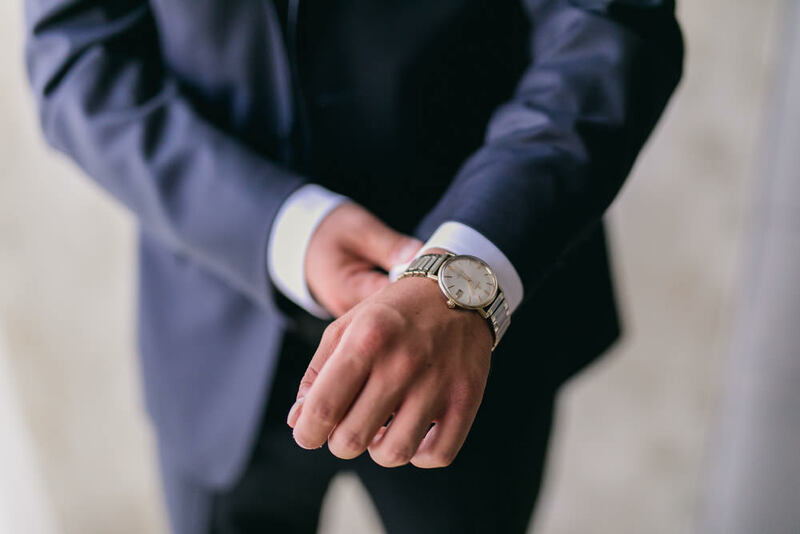 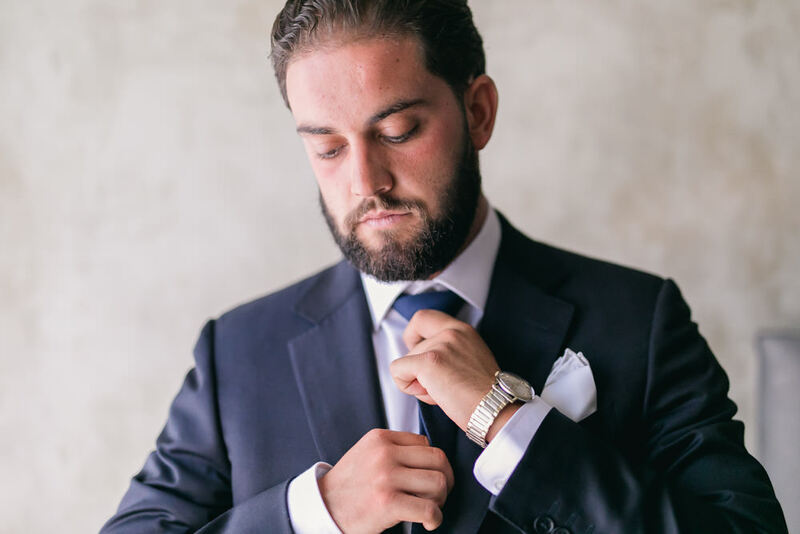 For more than 12 years of collective experience, our team provides the highest caliber of services to a discerning stylish clientele all over the world. 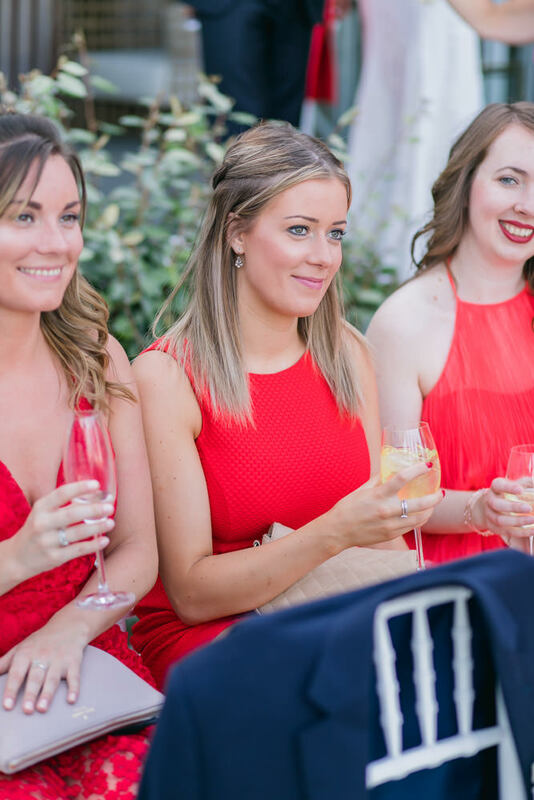 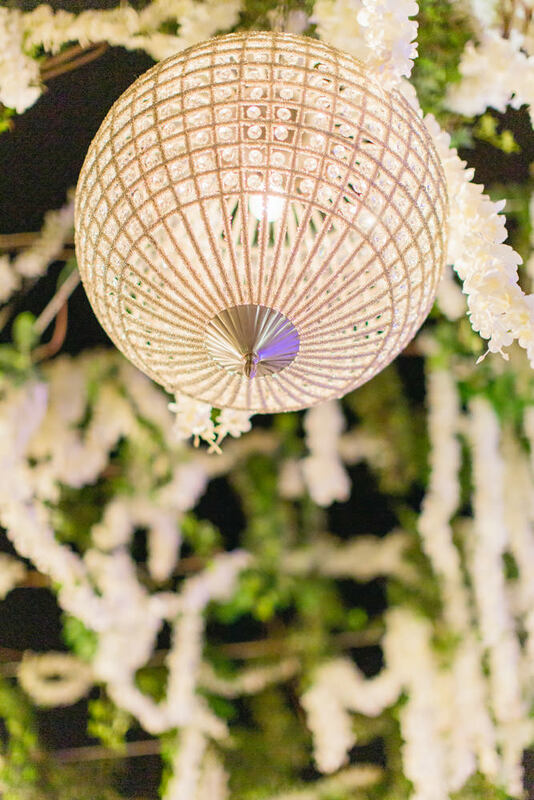 By taking our passion for designing spectacular events and transforming them into a lifestyle, we have the distinctive ability to manage every aspect of an event!! 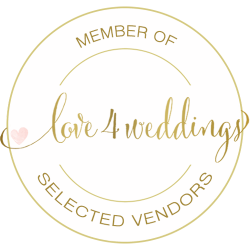 The Twelve Events team specializes in conceiving, designing and co-ordination of inspiring event concepts for weddings, christenings, children’s parties, private celebration events, corporate events, tailor made promotional events within shopping venues! 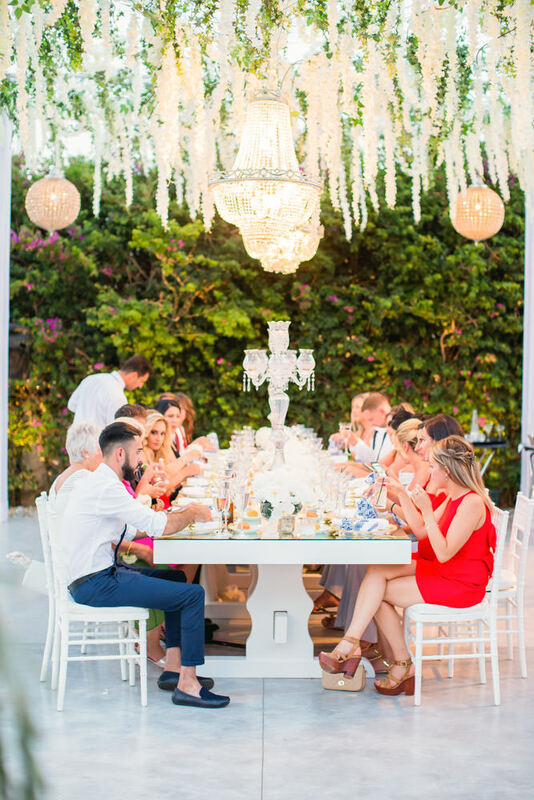 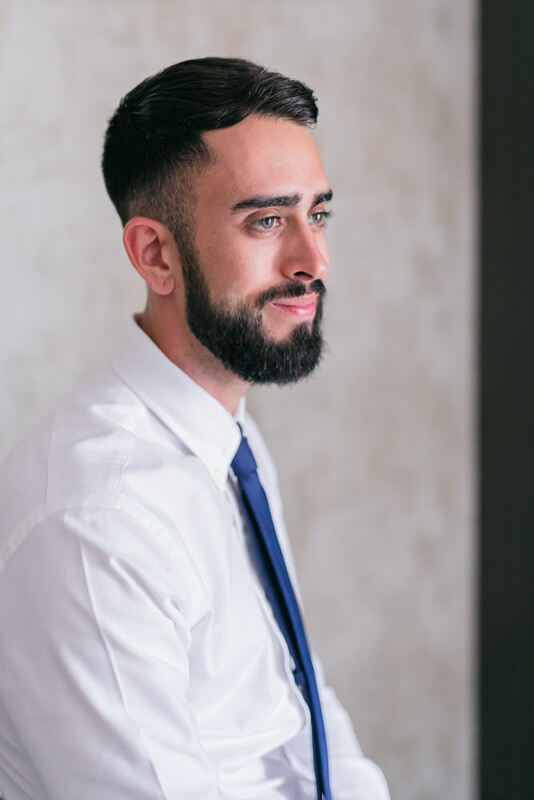 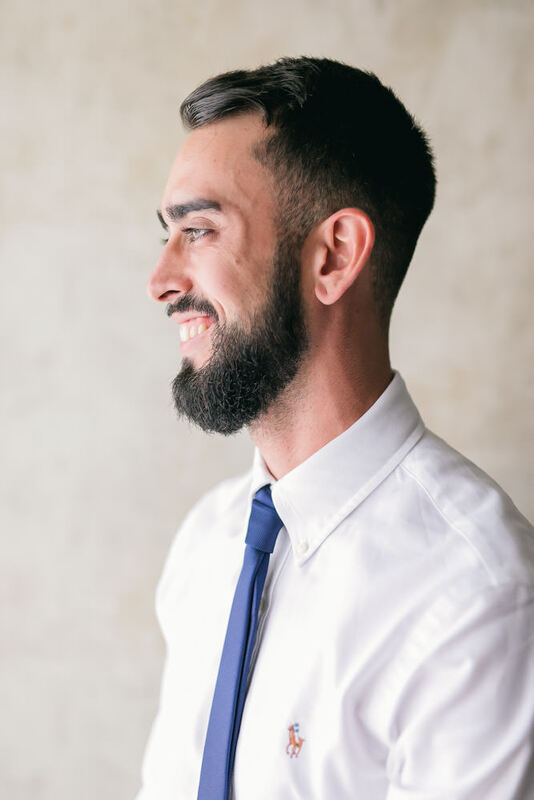 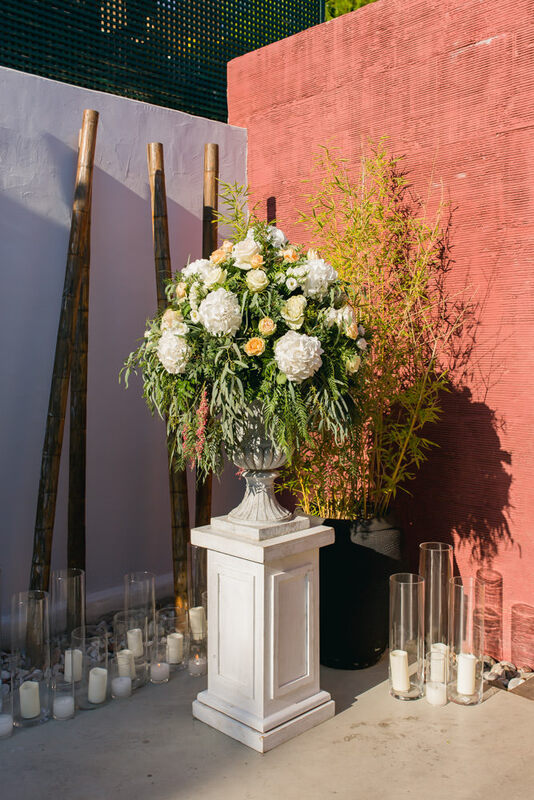 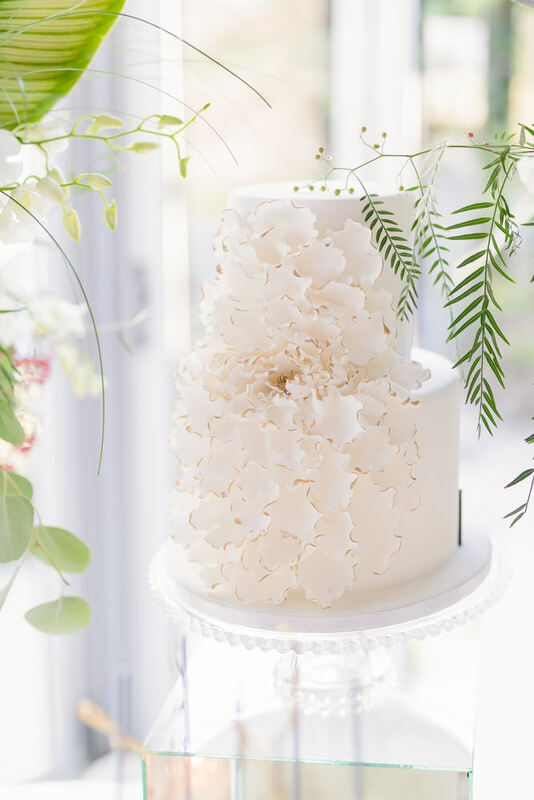 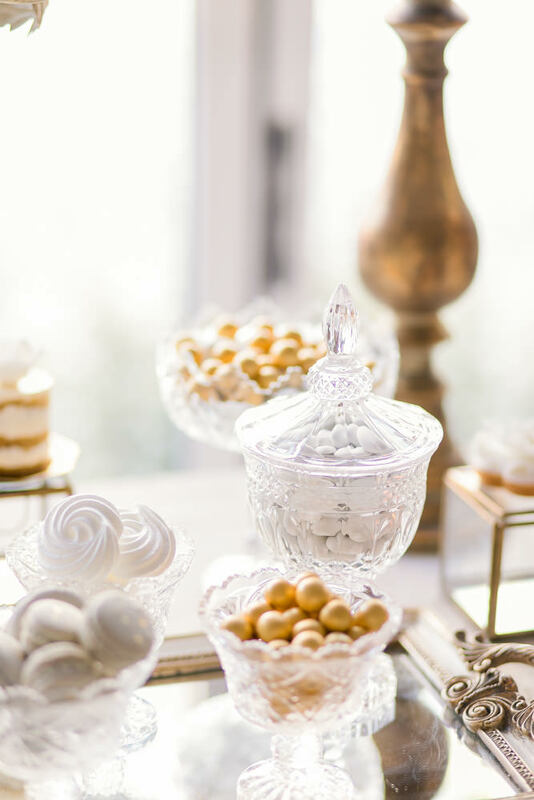 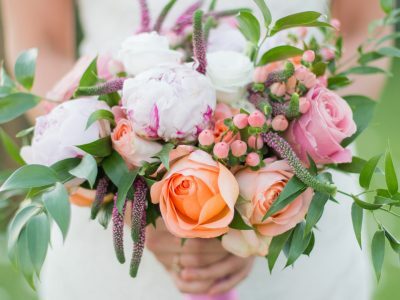 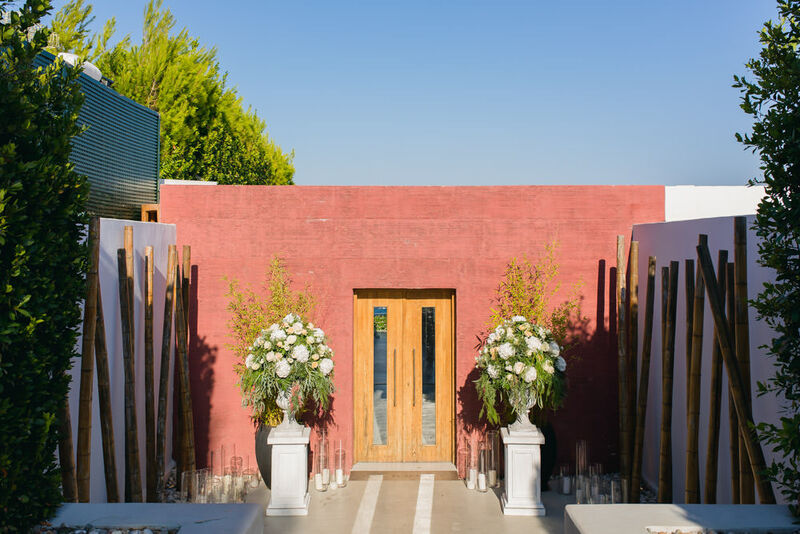 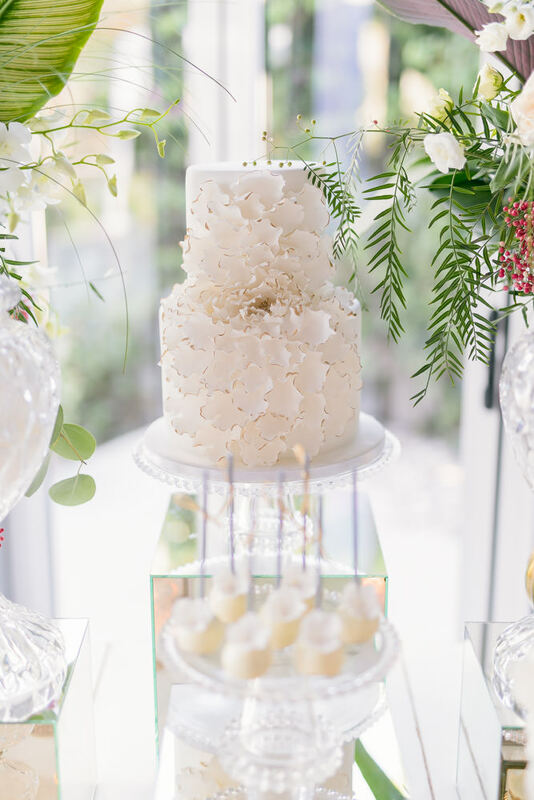 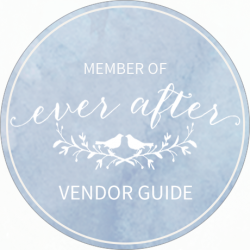 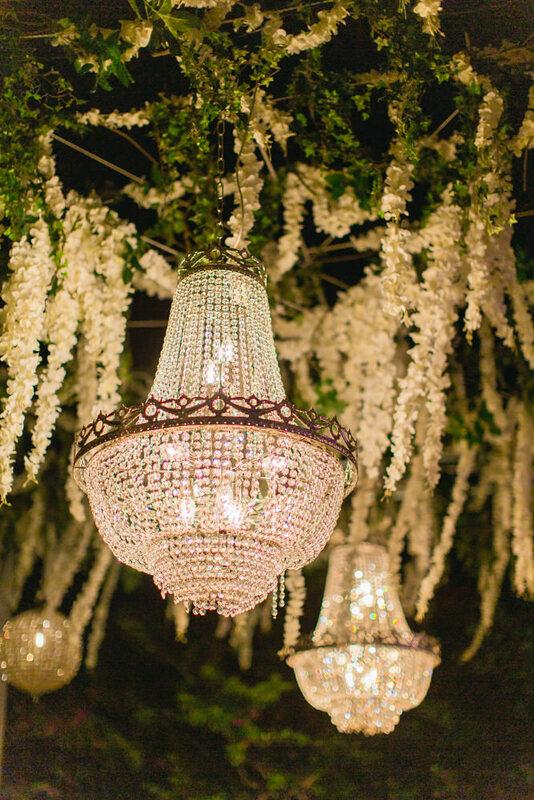 Our expertise and services cover all aspects of your requests: From locating the perfect venue, ceremony & reception design, pre-event planning, extraordinary decoration & styling, stationary, food & art de la table, cakes, music & entertainment, flowers, photography. 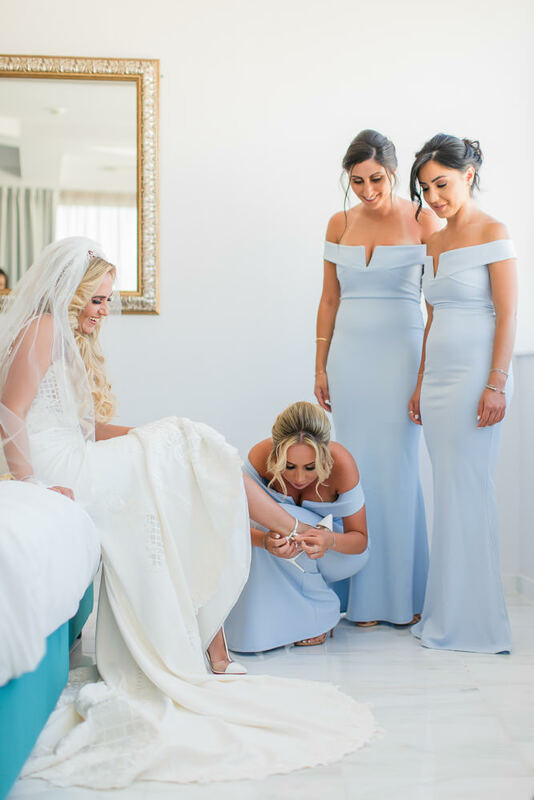 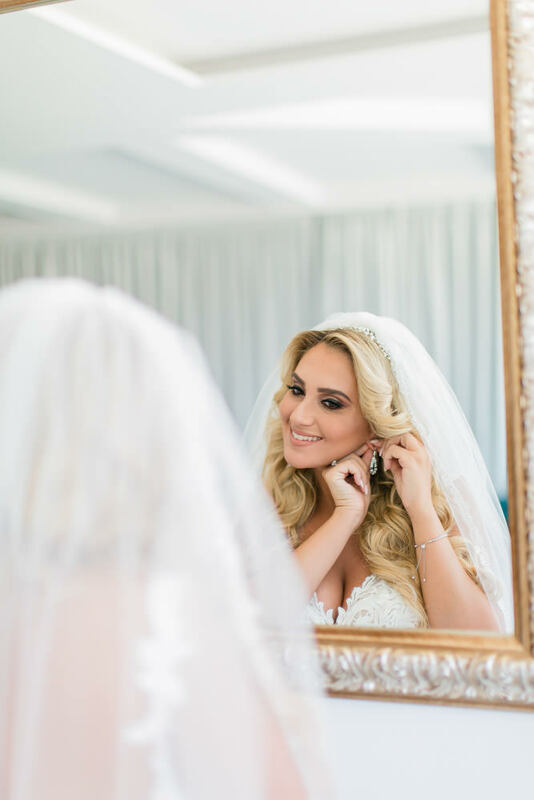 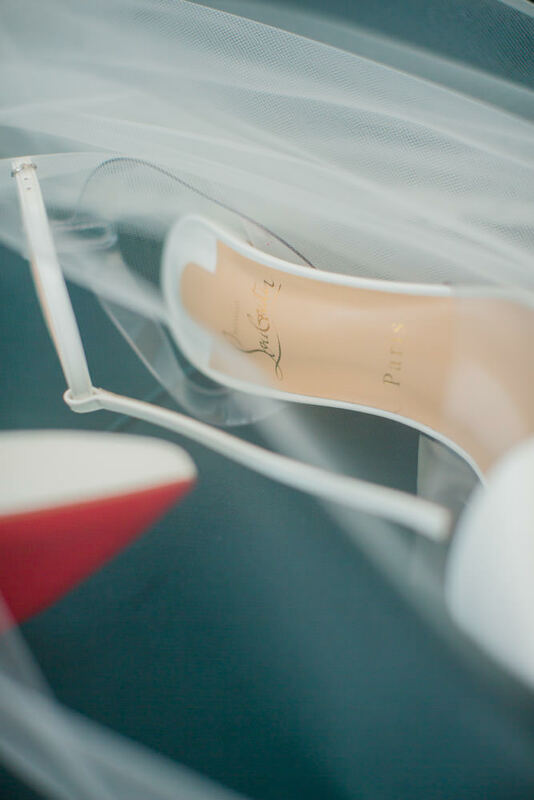 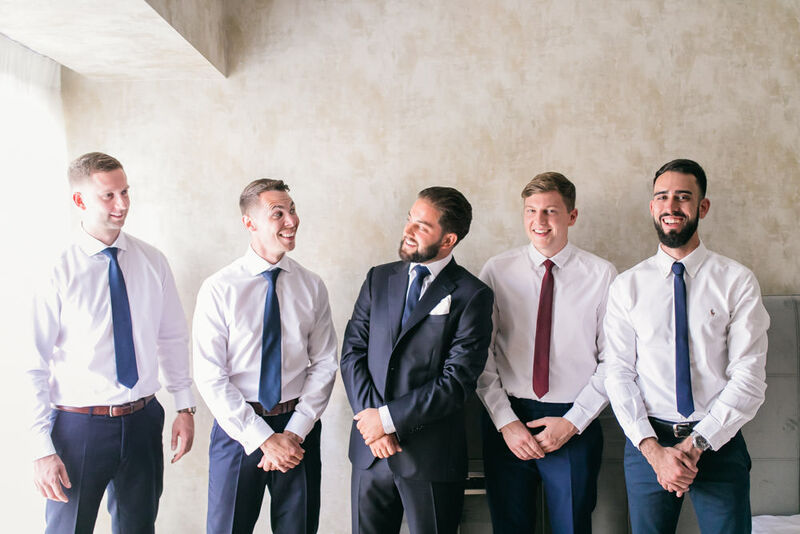 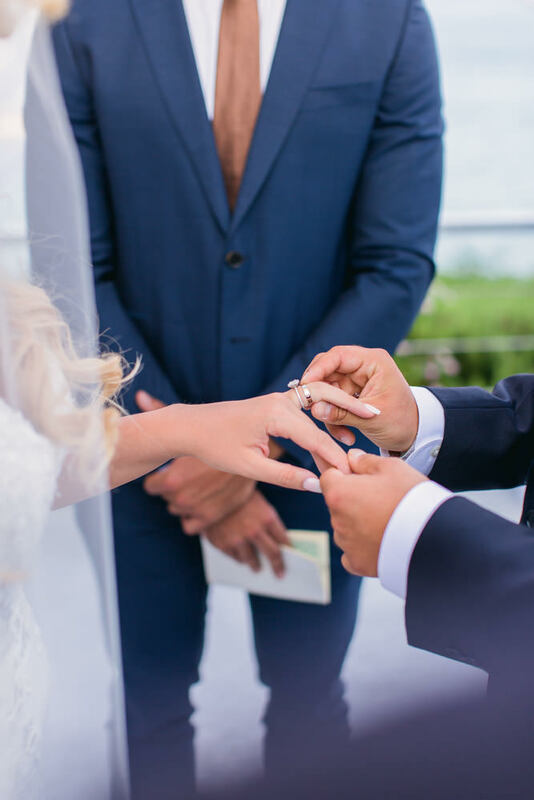 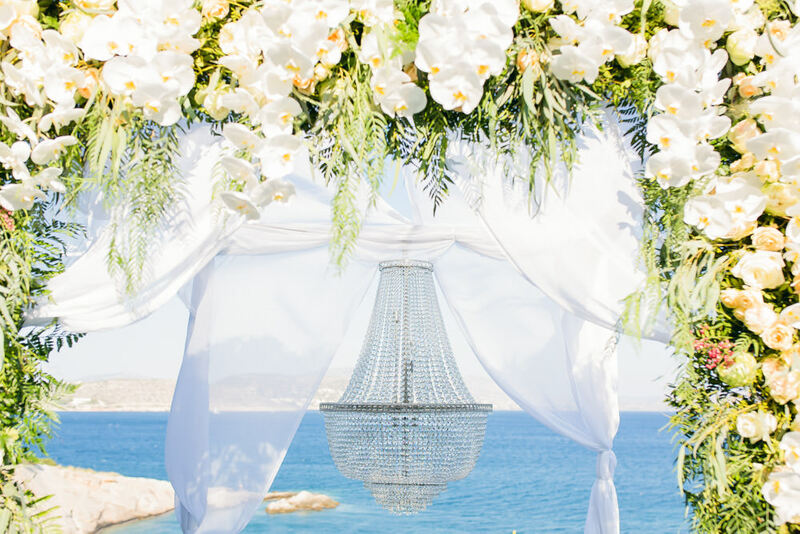 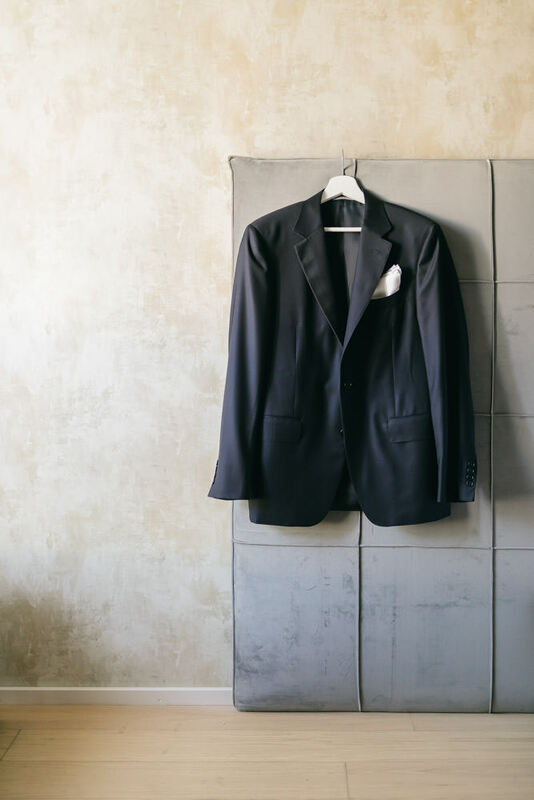 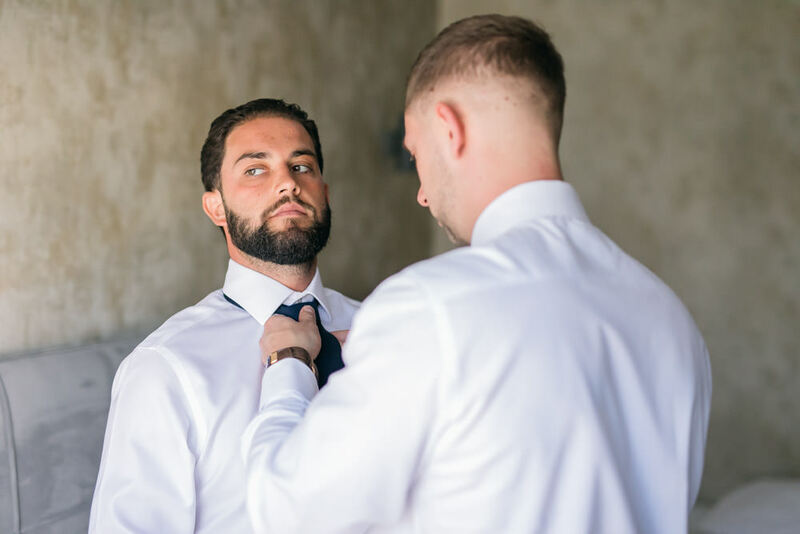 We can handle special requests such as personalized wedding website, introduction to stylists and make up artists, assistance with guests accommodation and full concierge service for you and your guests. 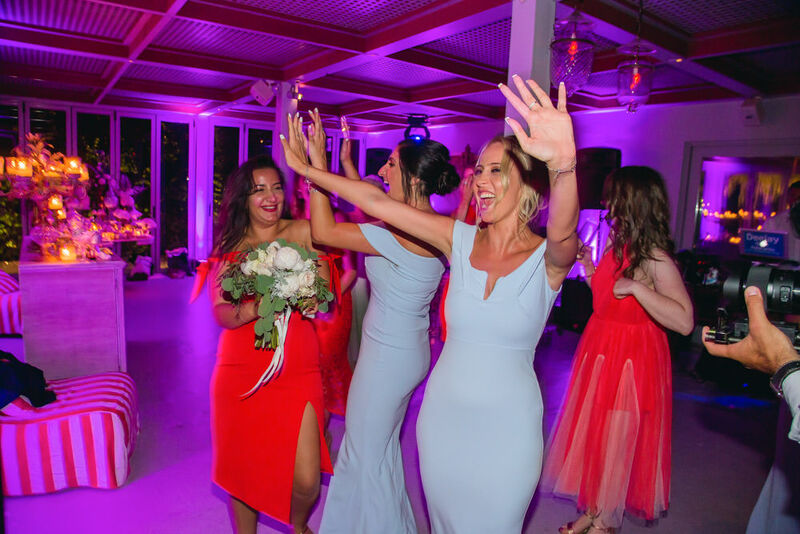 We are here to provide you with a stress-free planning process and to create a completely tailored and unforgettable event! 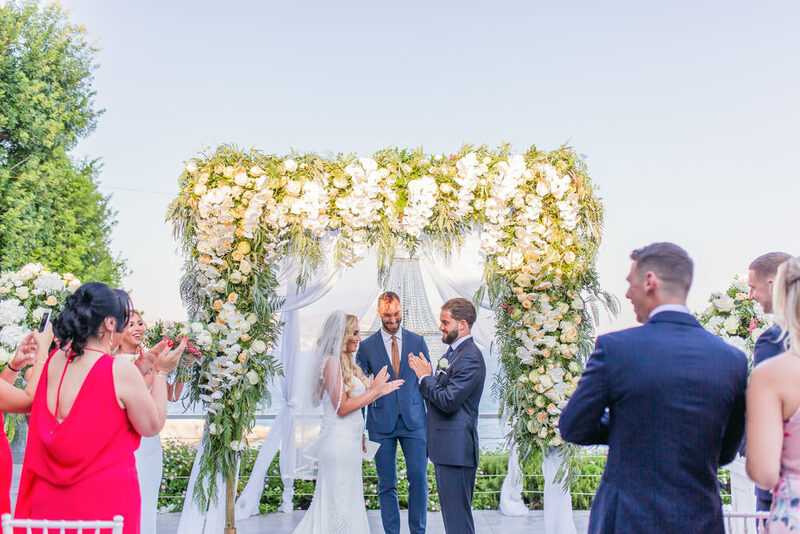 No matter where in the world the project is located, The Twelve Events guarantees its clients high quality, enhanced originality, and cost containing solutions for their special occasions. 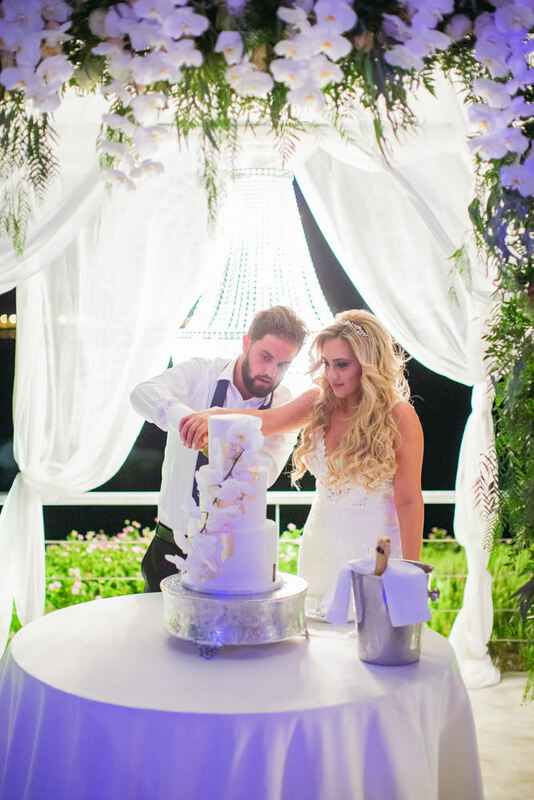 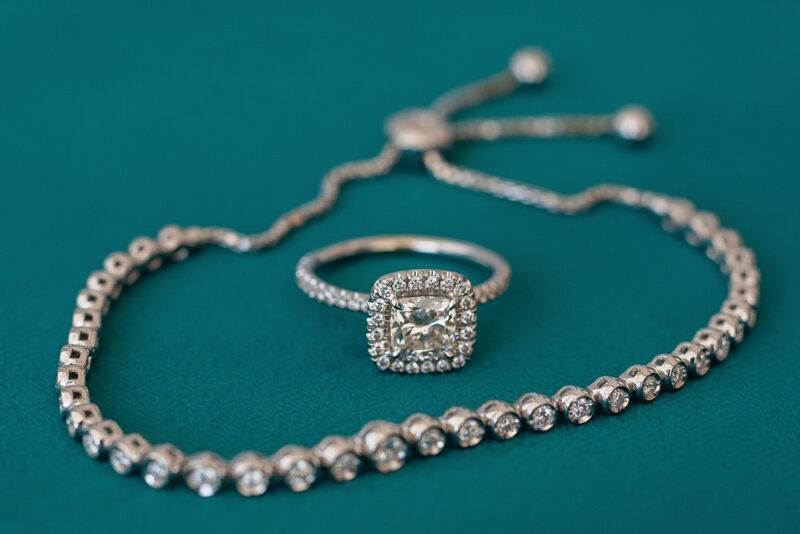 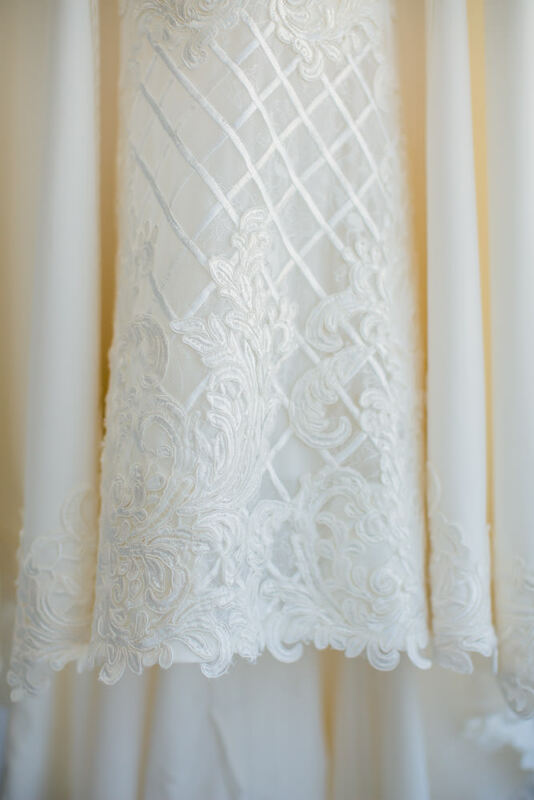 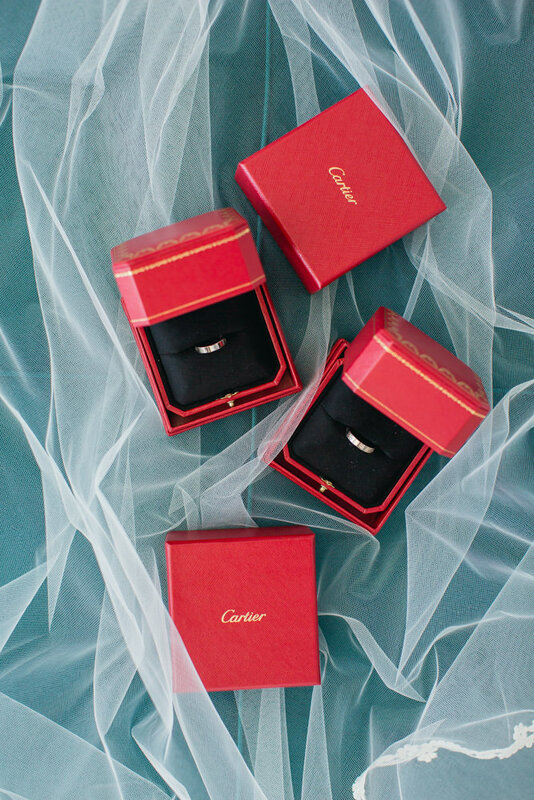 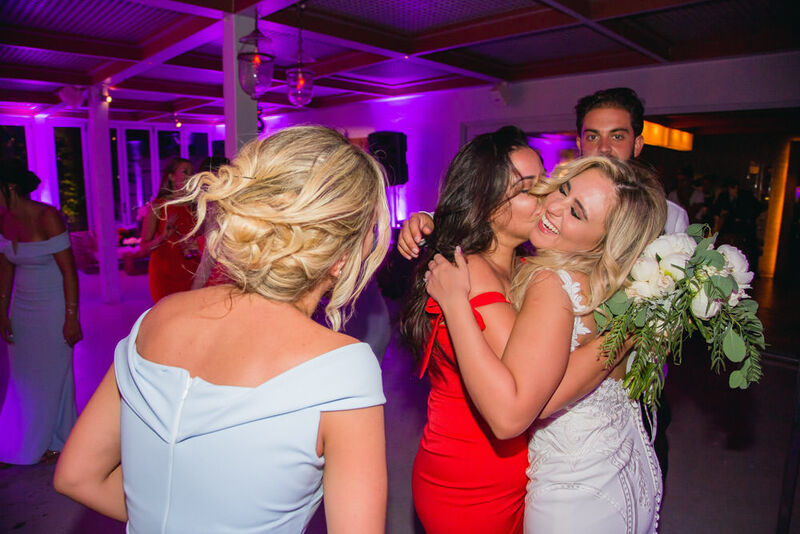 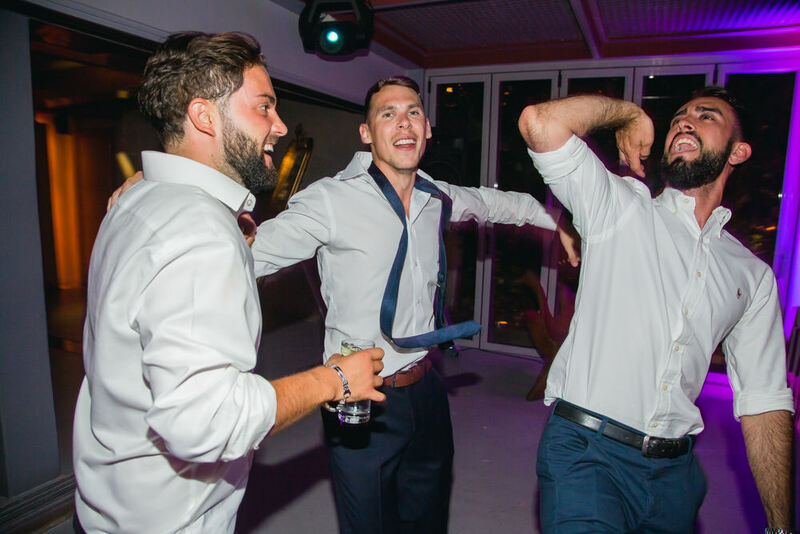 We are committed to create beautiful memories that will last a lifetime for both you and your guests!